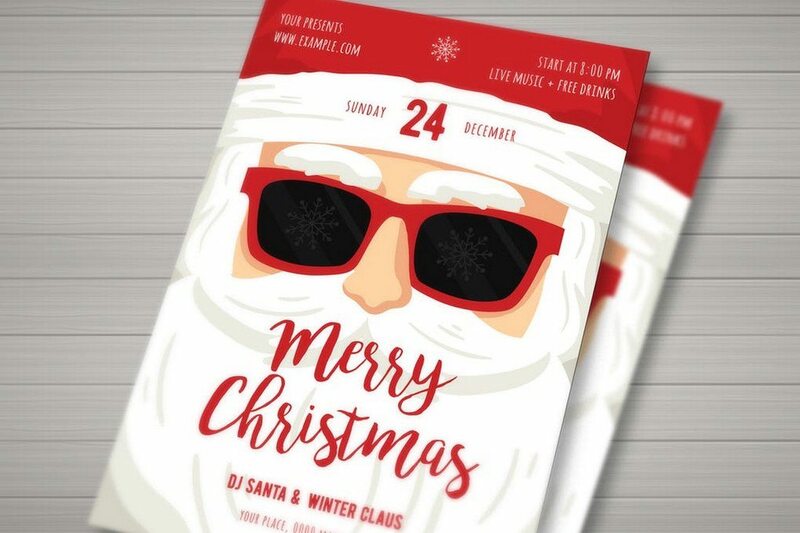 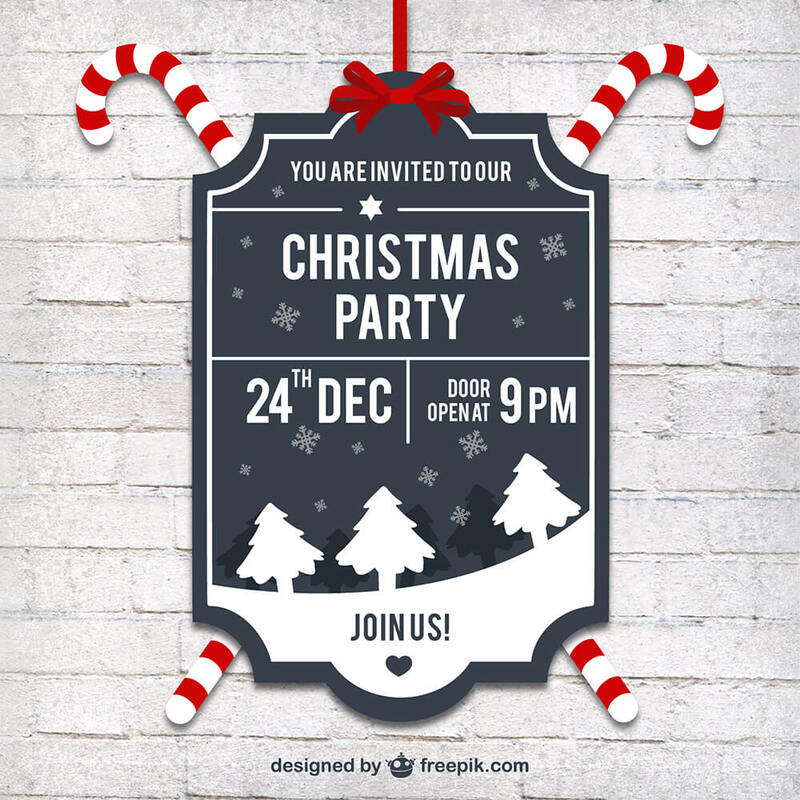 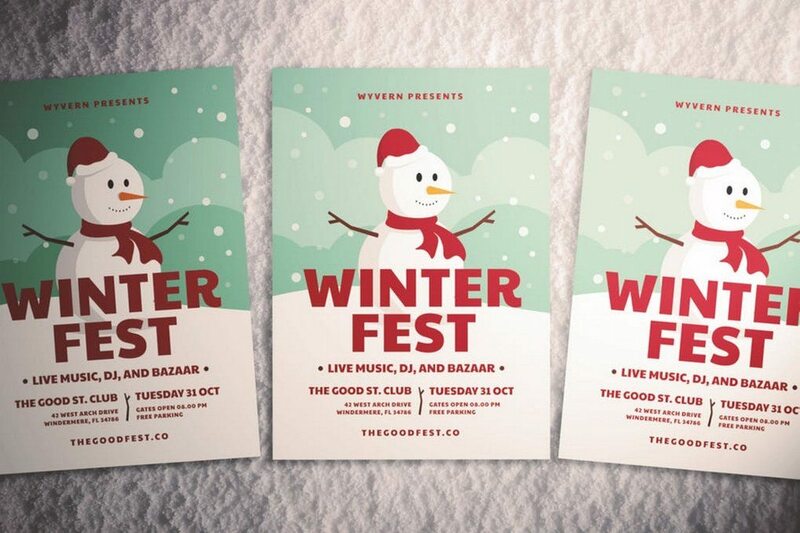 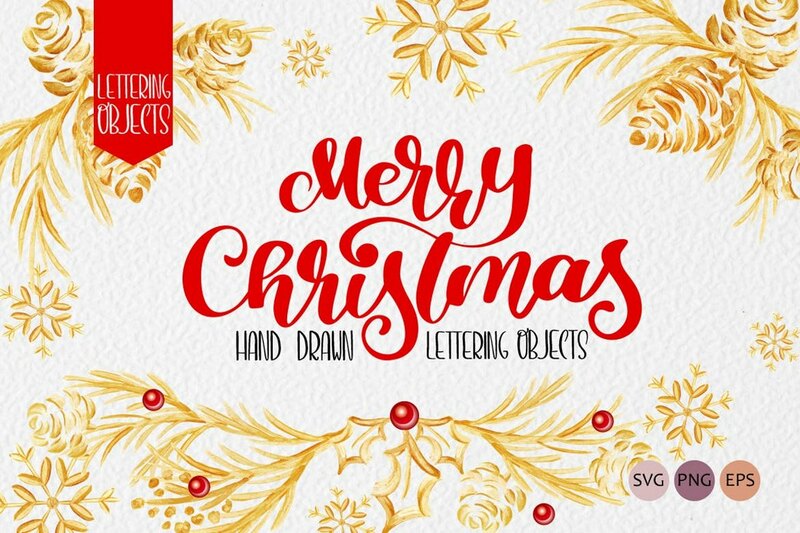 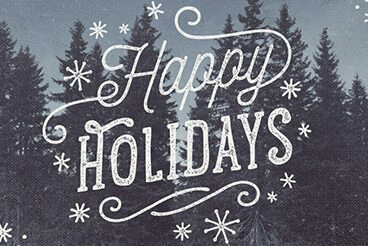 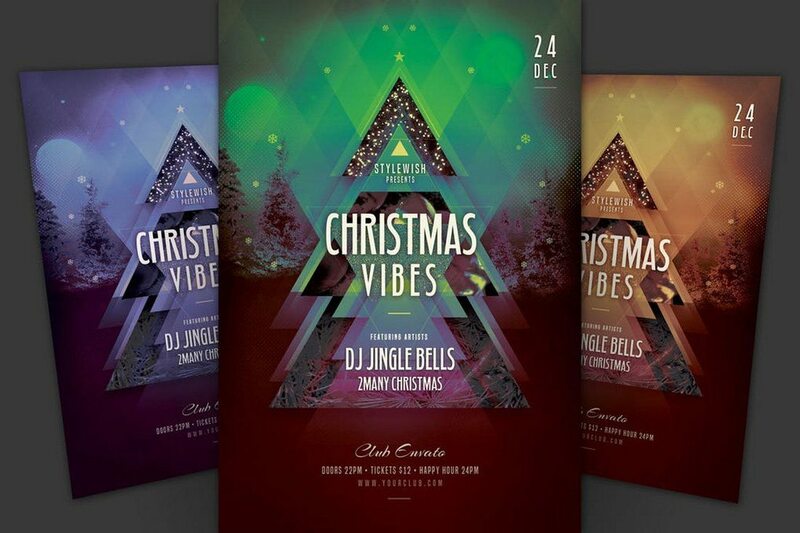 We’ve pulled together a fantastic collection of Christmas flyers and templates, mock-ups, icons, vectors, and much more. 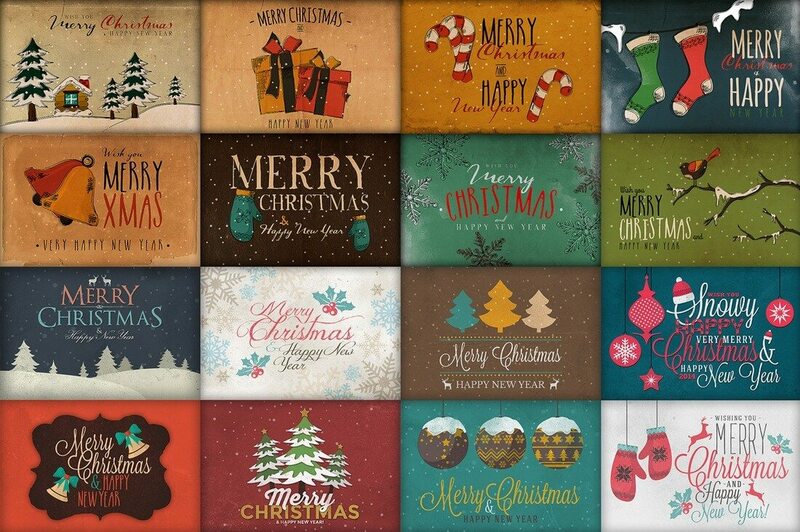 Some of them are completely free, some cost a few dollars, but all of them will get you in the festive spirit. 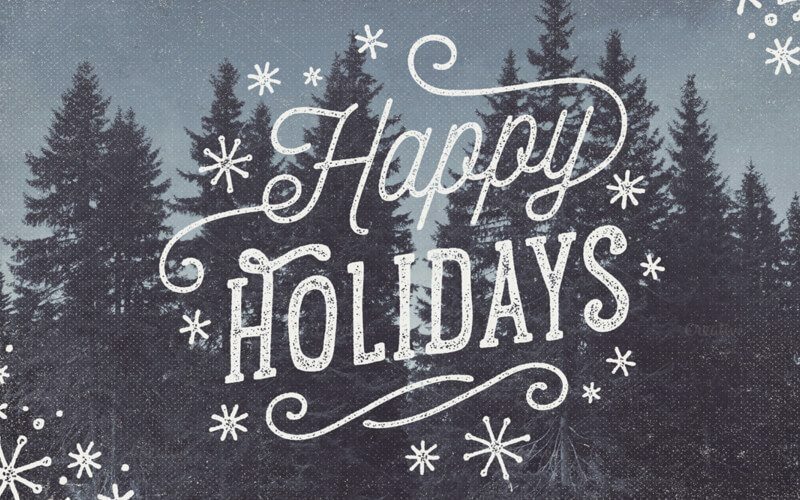 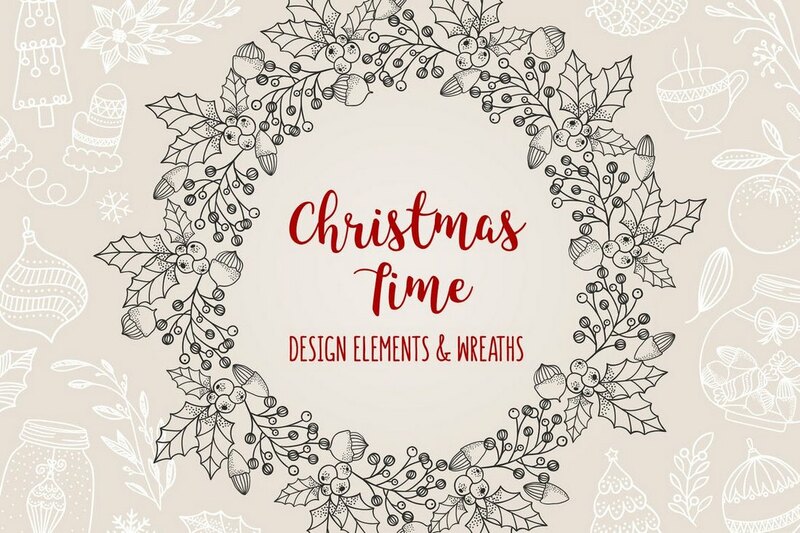 Have fun looking through this selection of resources, and we hope you find a few that help out with your holiday design work! 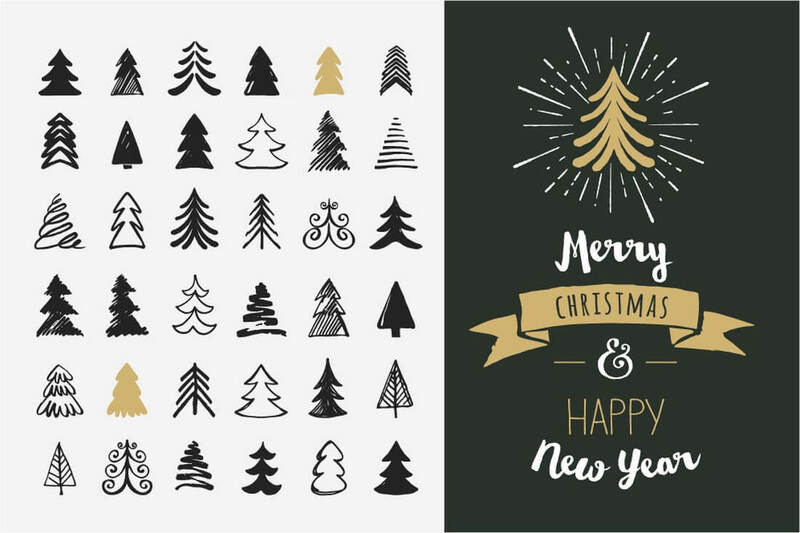 This is a collection of vector banners you can use to design different types of Christmas and New Year’s creations, promotions, and branding materials. 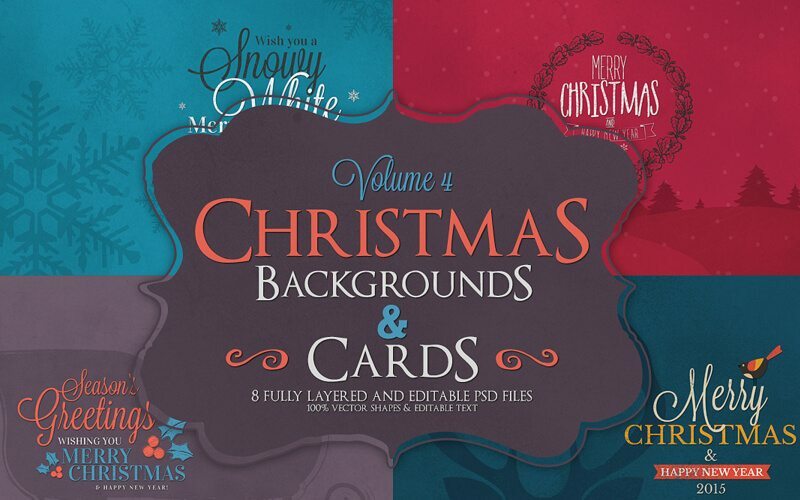 The pack includes 5 gorgeous designs in AI, EPS, PDF, and JPG formats. 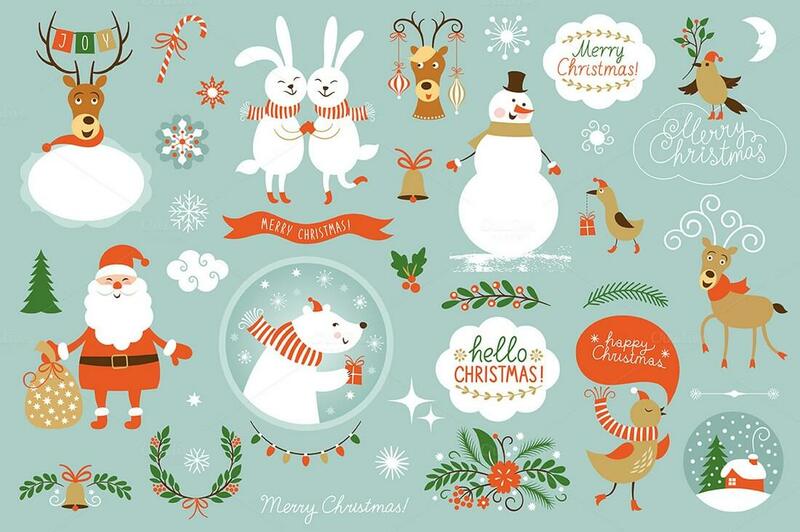 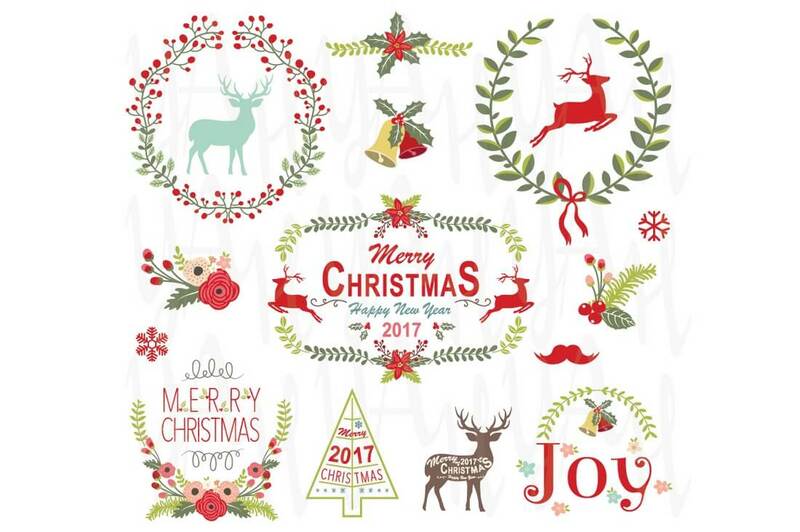 A massive bundle of Christmas vectors. 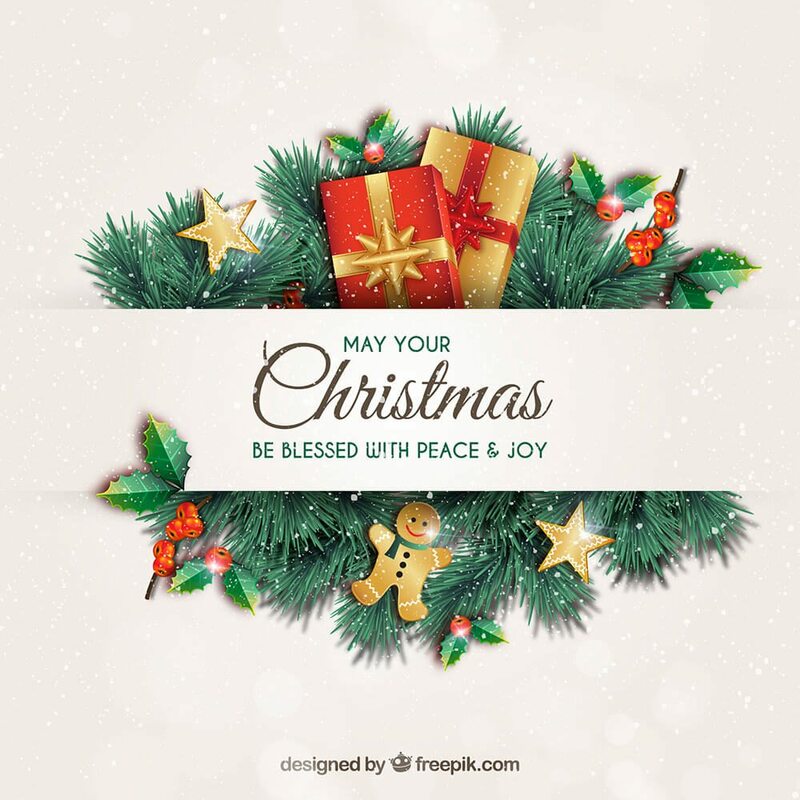 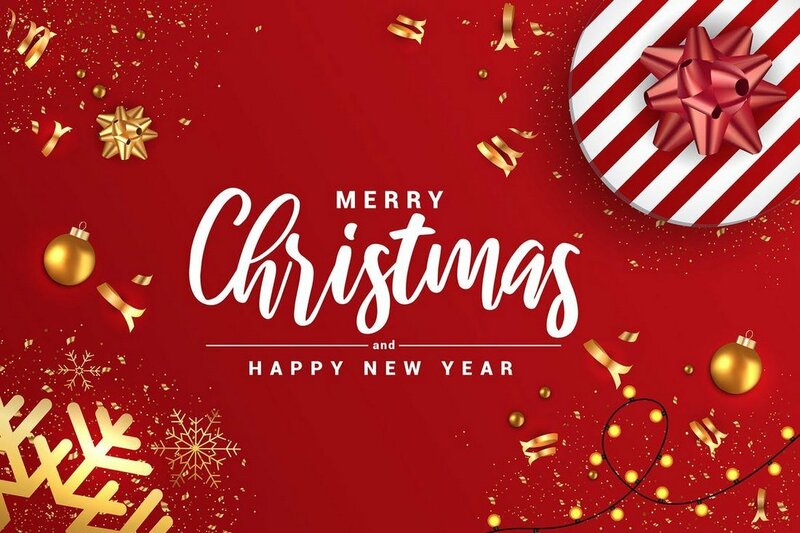 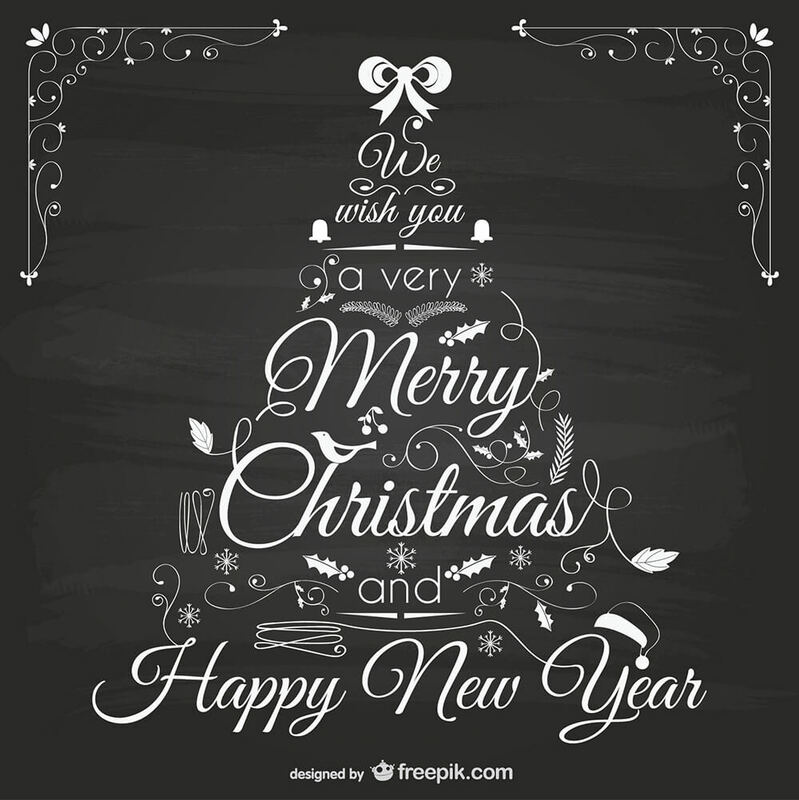 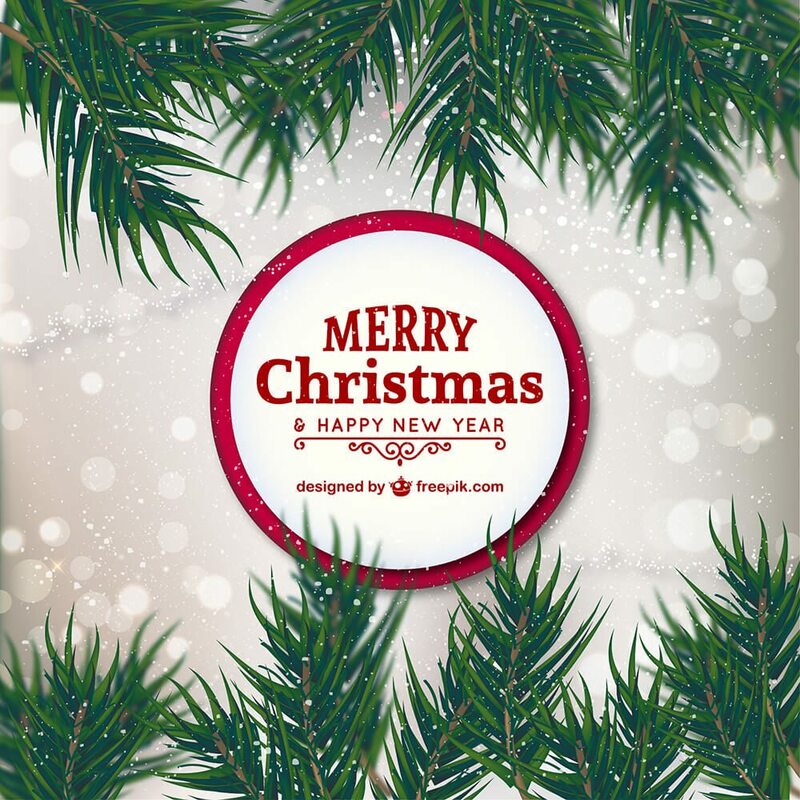 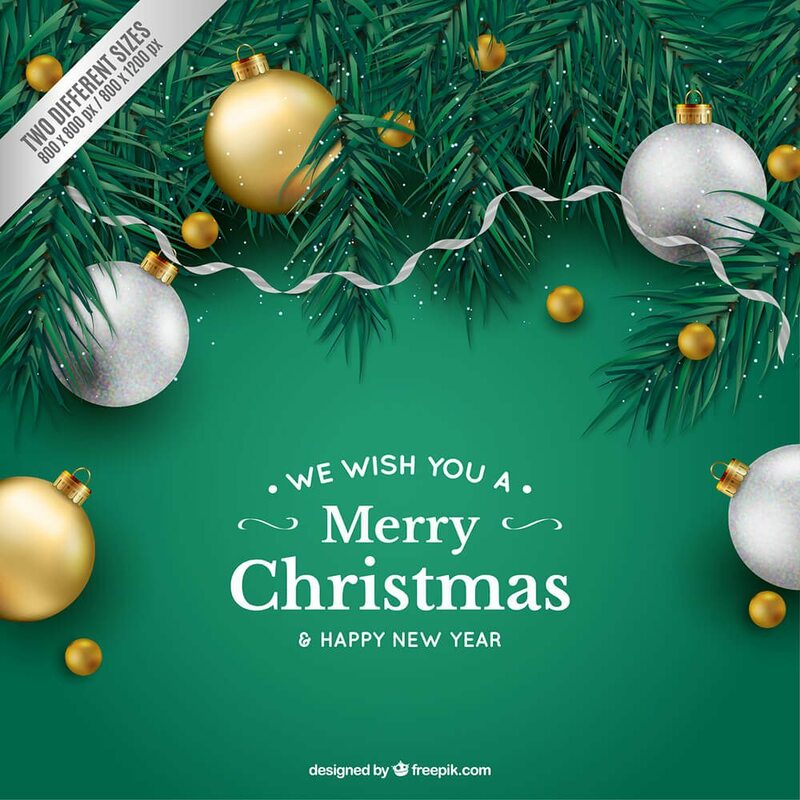 It comes with 66 modern and creative Christmas card templates, 20 vector Christmas gift tags, and 16 logo templates, all packed into one download. 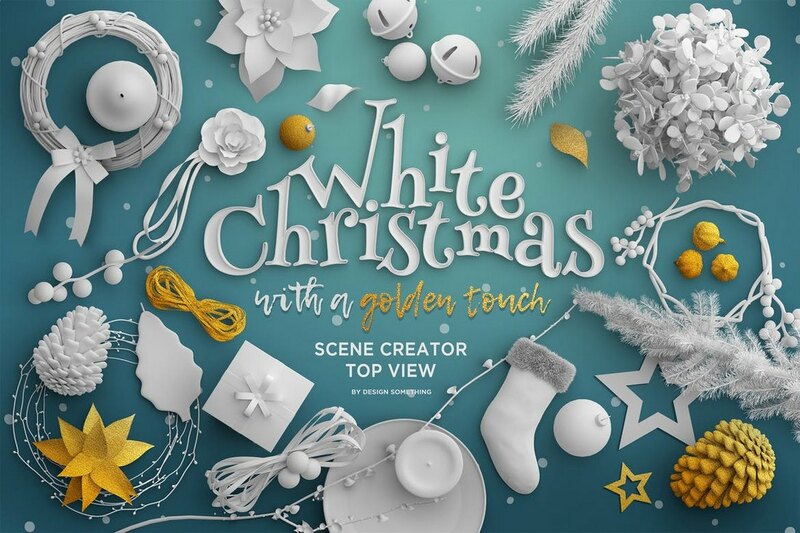 With this unique graphics pack, you’ll be able to create your own stylish Christmas wreaths by yourself. 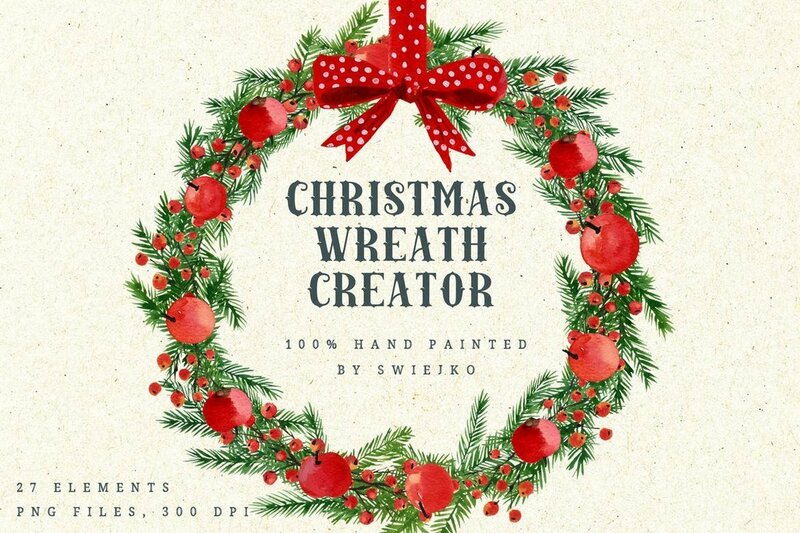 It comes with 22 wreaths, 2 bows, and 3 ribbons, all as separate elements you can drag around to create beautiful Christmas wreaths. 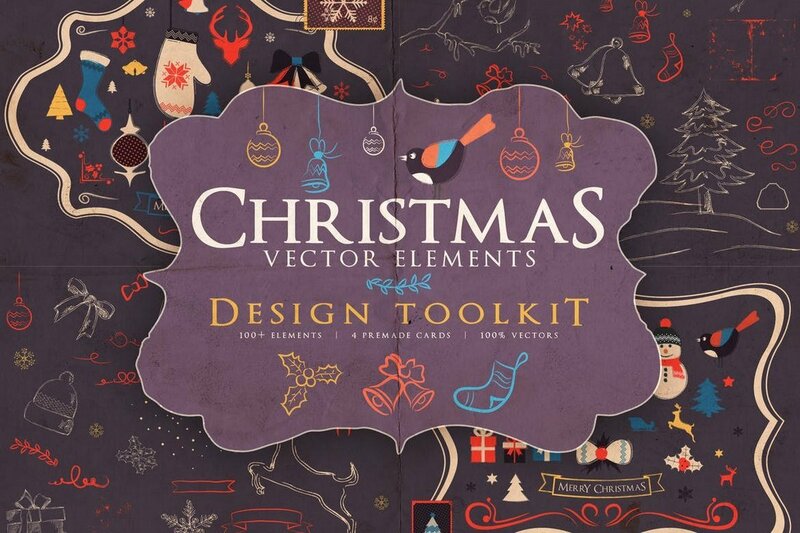 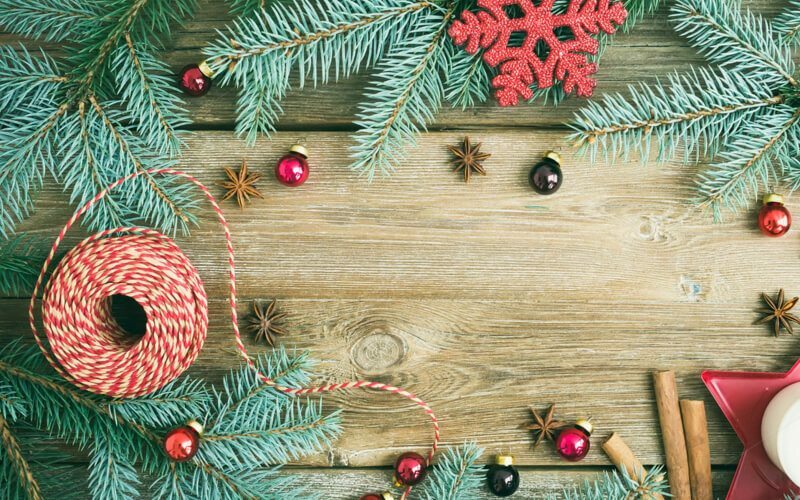 A Christmas design toolkit for designing creative Christmas designs. 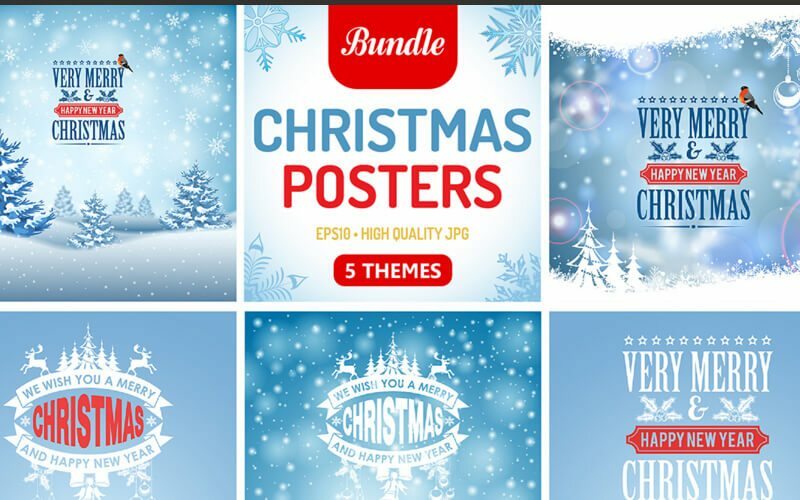 This bundle comes with more than 100 elements you can use to create your own beautiful Christmas cards, banners, posters, and flyers. 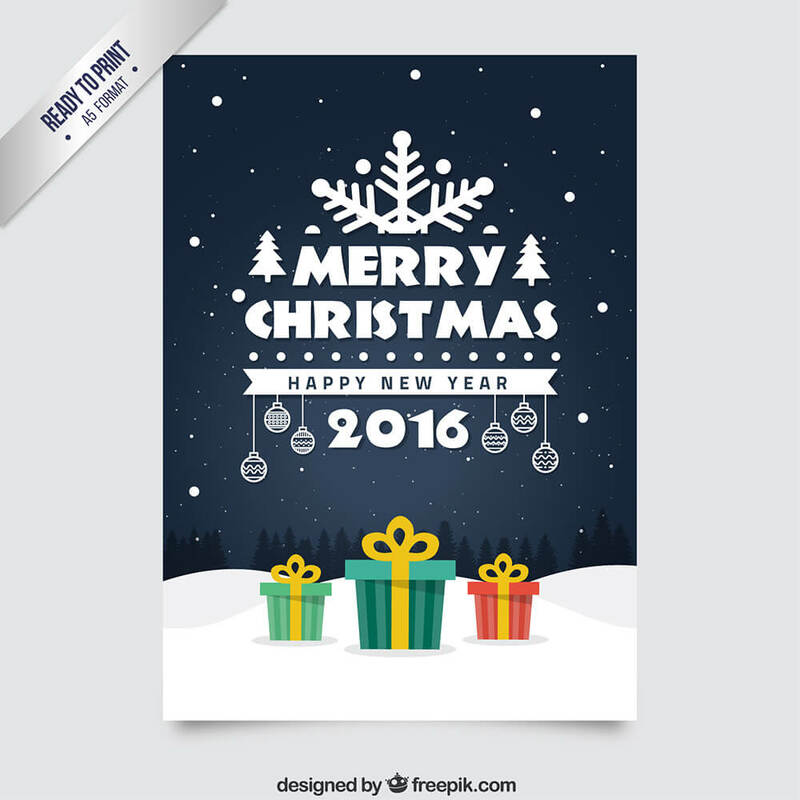 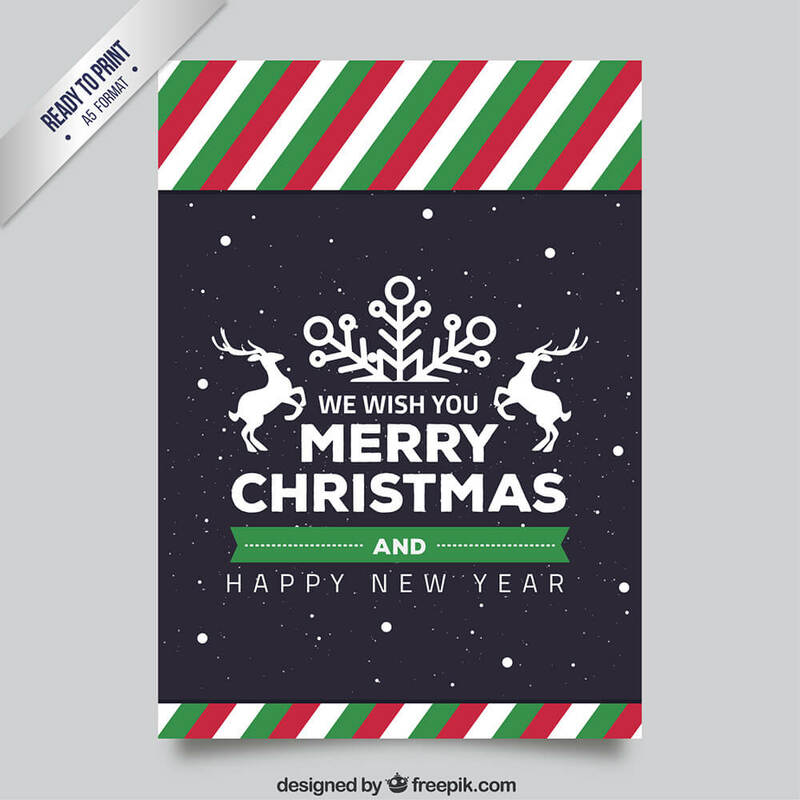 It also includes 4 premade Christmas card templates. 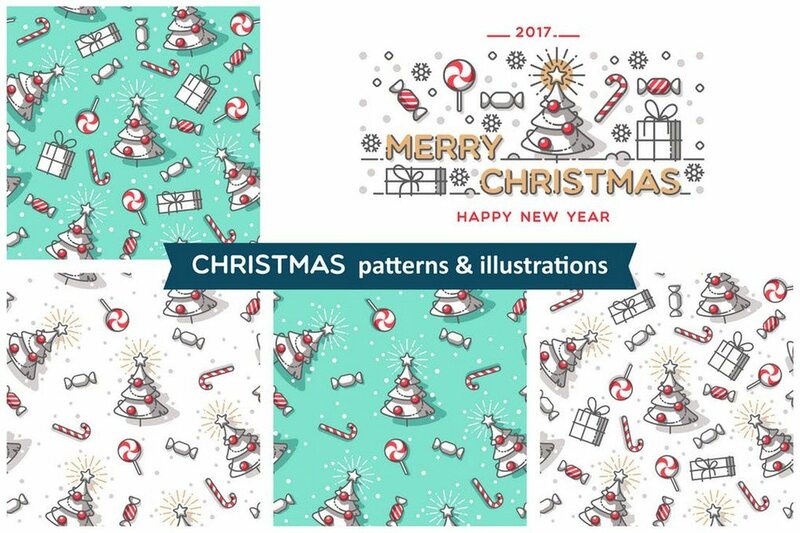 This is a collection of isolated Christmas-themed elements you can use to create your own unique Christmas scenes for various designs projects. 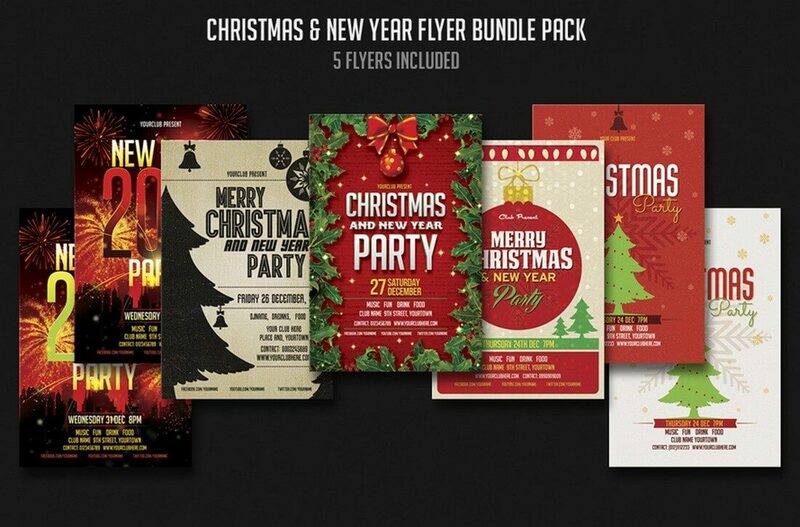 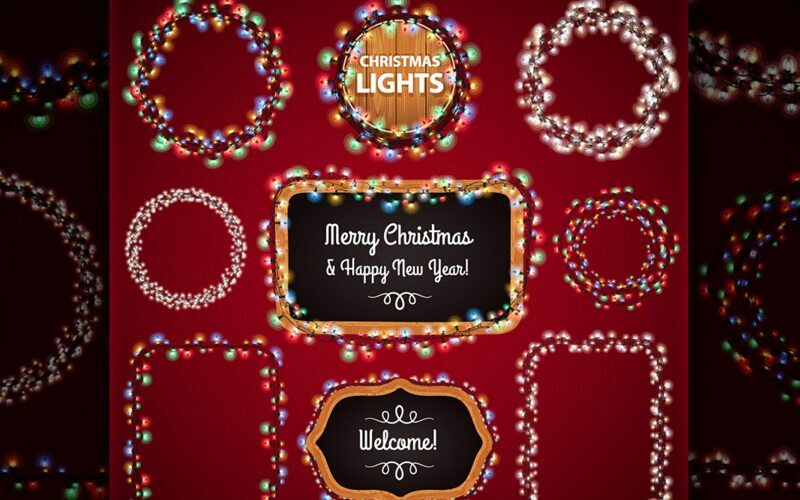 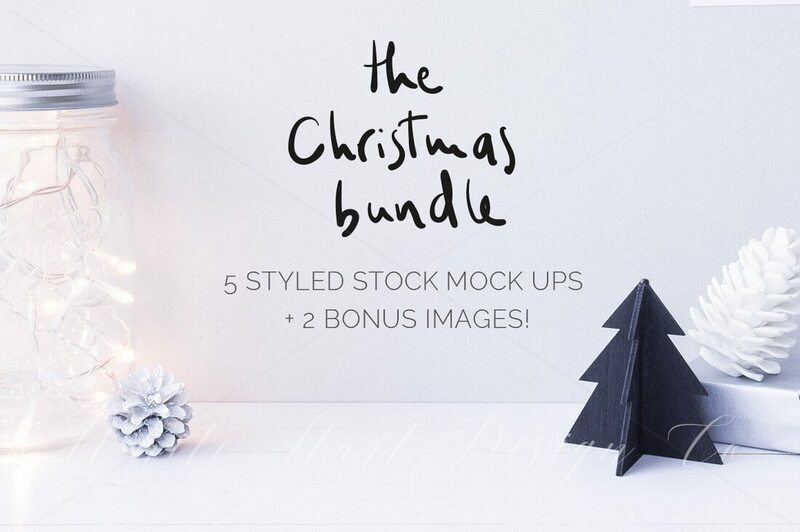 The bundle includes 32 Christmas elements, 5 premade PSD scenes, and 6 backgrounds. 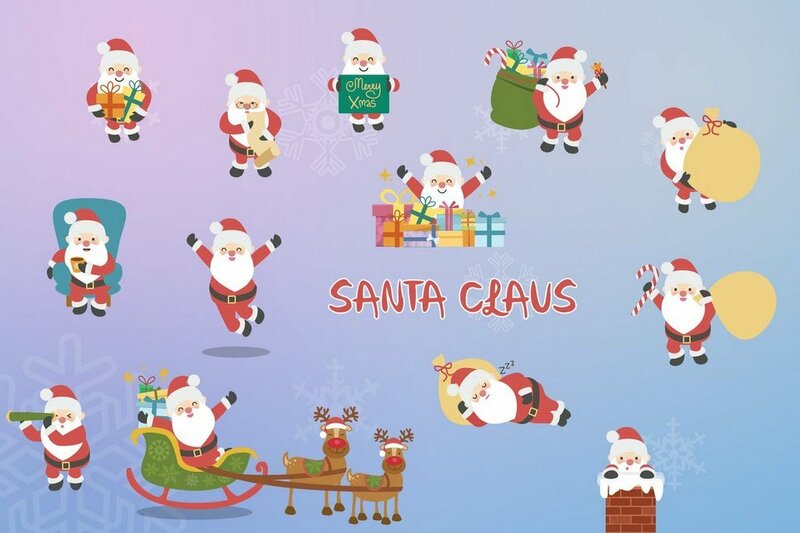 A collection of cute and adorable Santa Claus illustrations you can use to design unique Christmas cards, banners, and flyers. 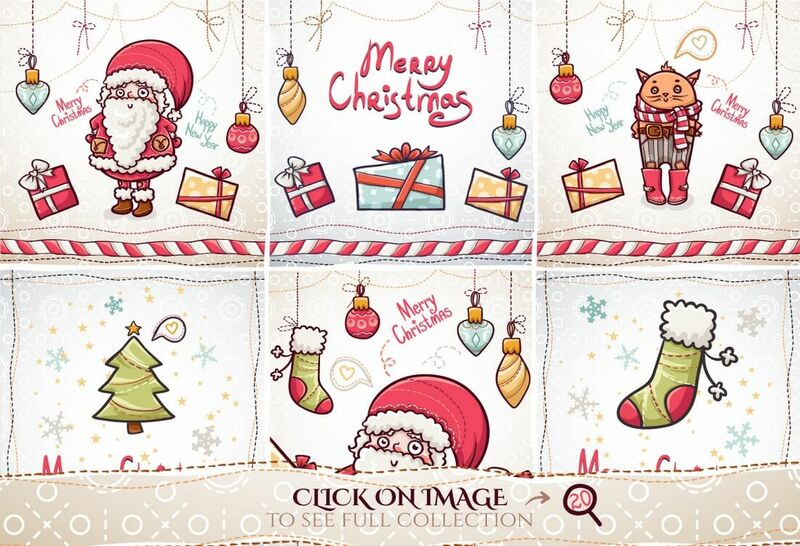 It includes 13 different Santa illustrations with various poses in PNG and AI file formats. 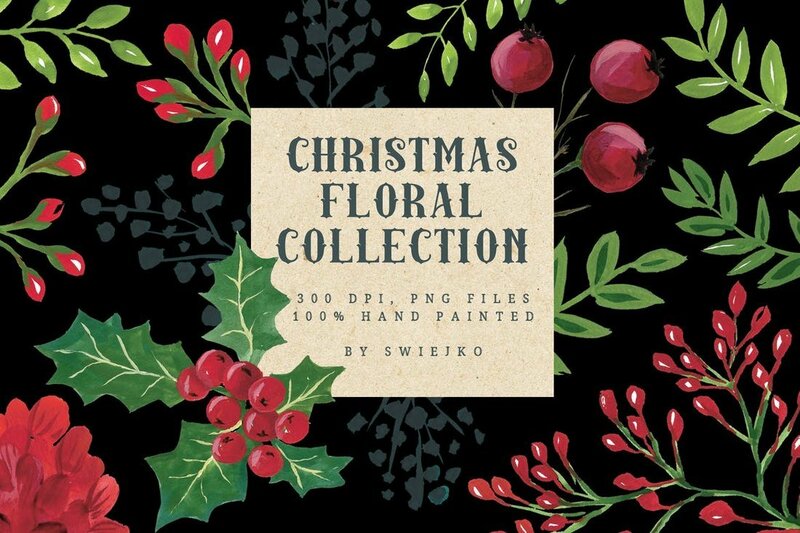 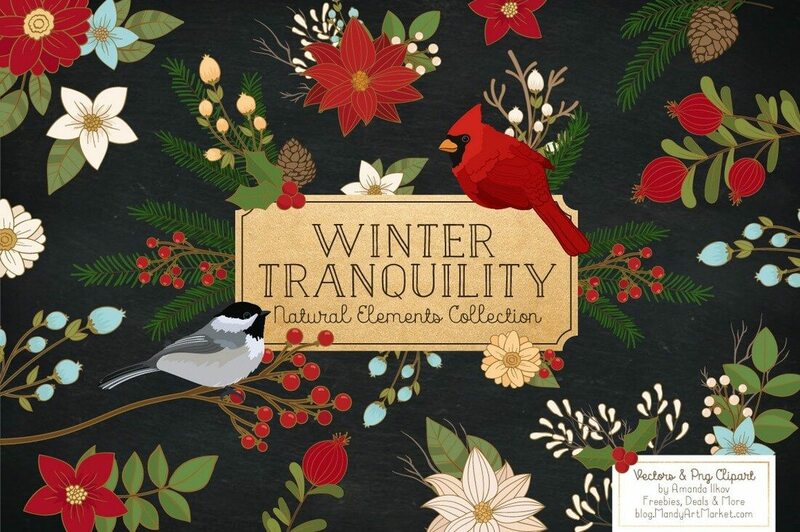 A beautiful collection of Christmas florals featuring watercolor designs. 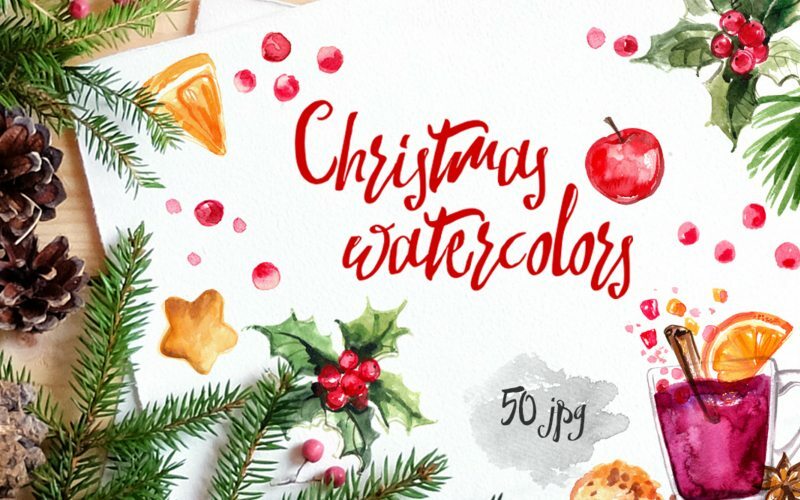 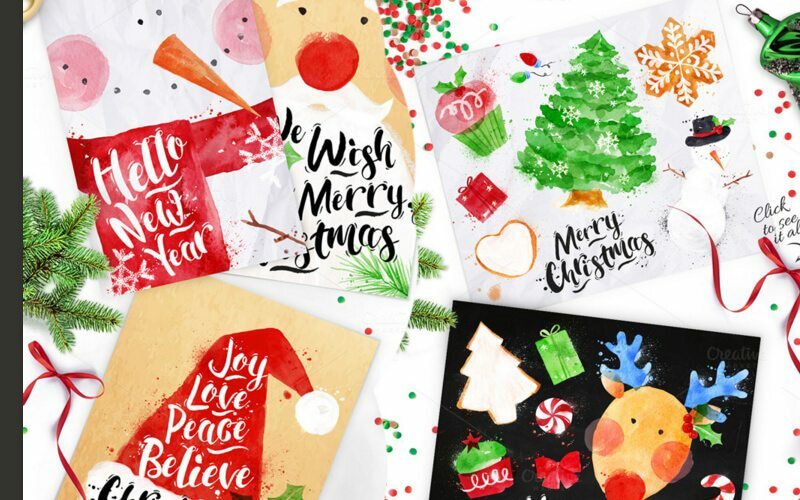 All of the illustrations in this pack are hand-drawn to add a more authentic look to your Christmas cards, posters, and banner designs. 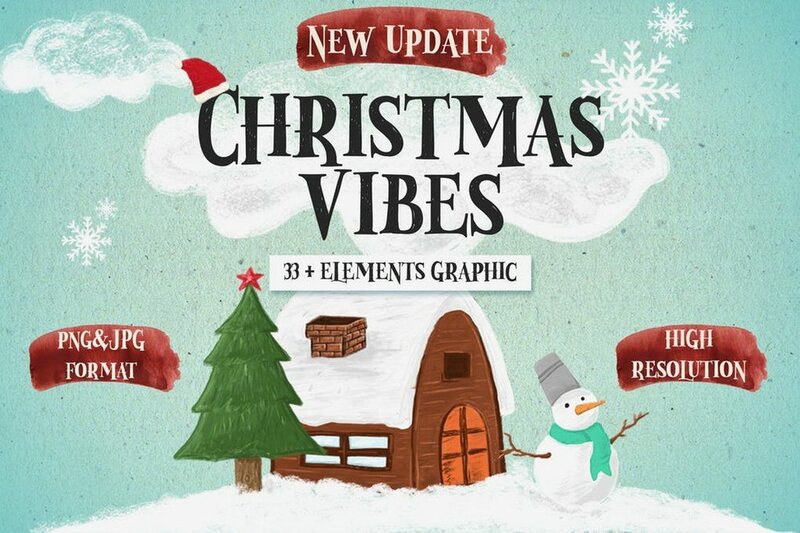 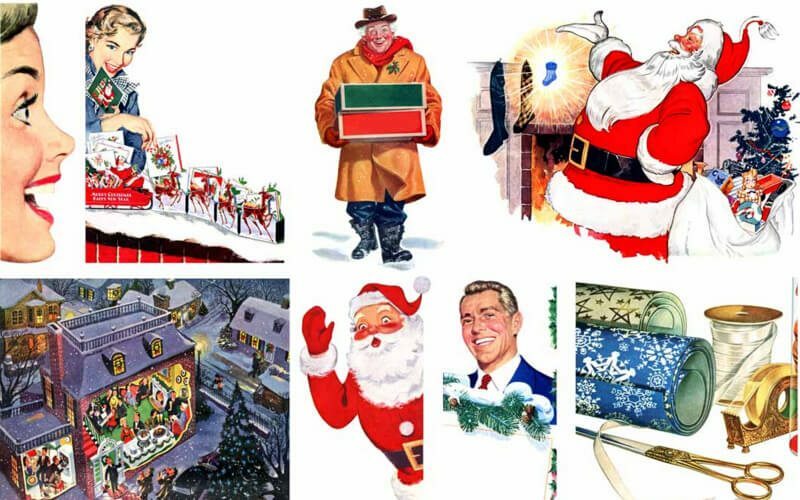 Another big bundle of Christmas graphics. 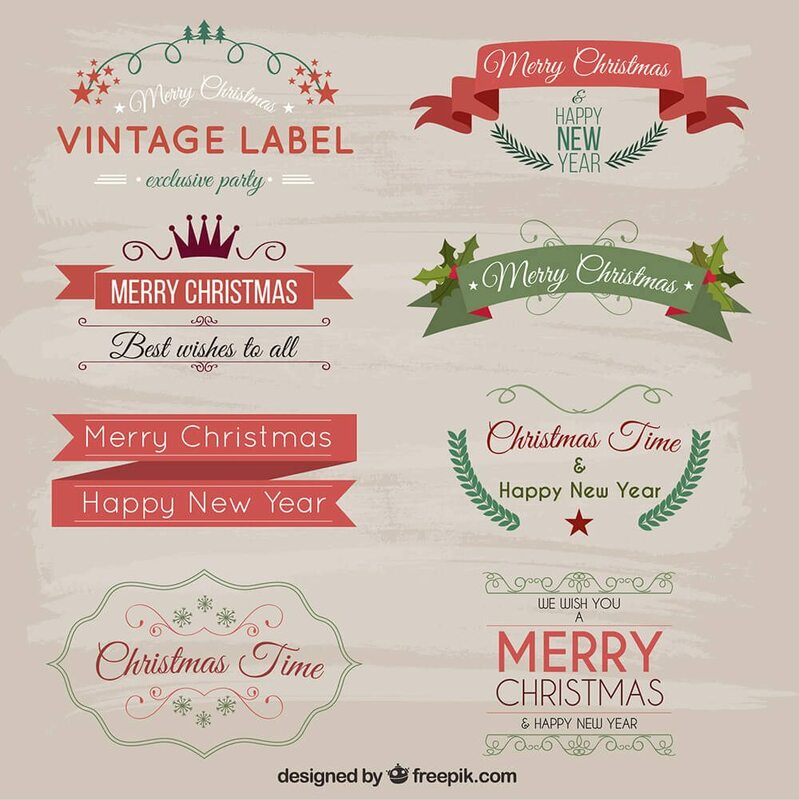 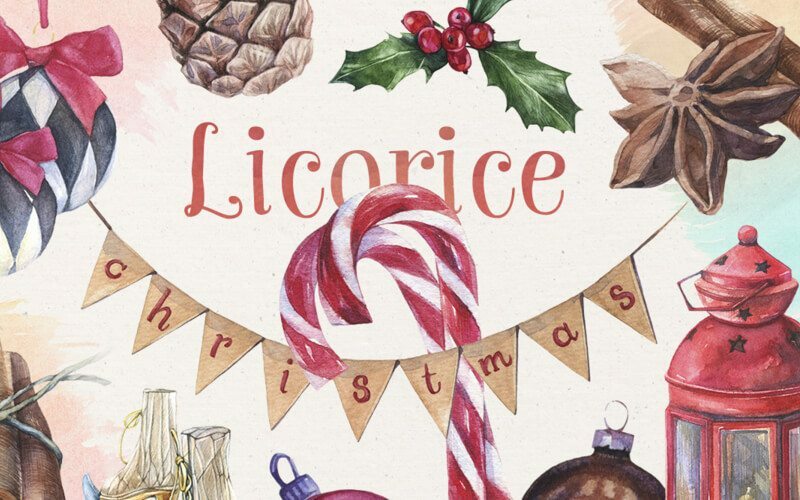 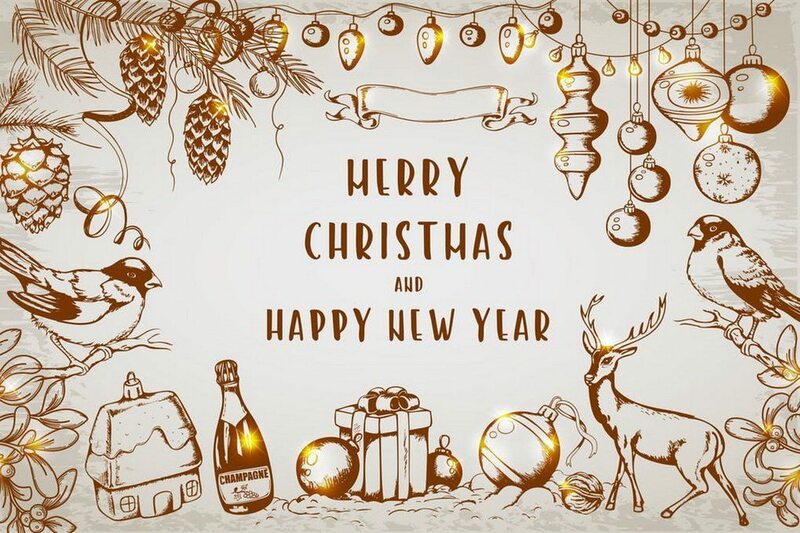 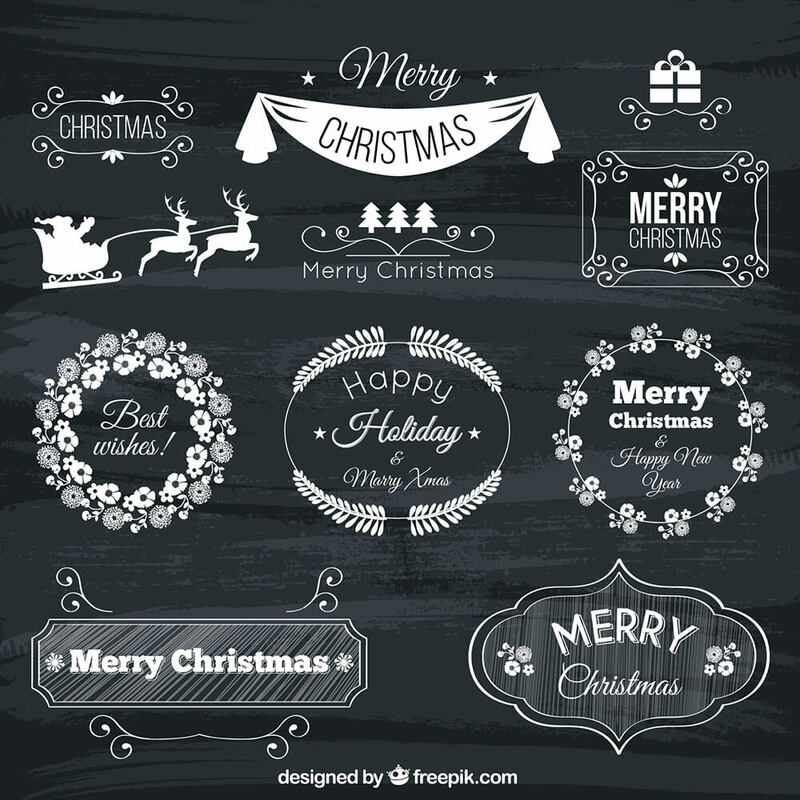 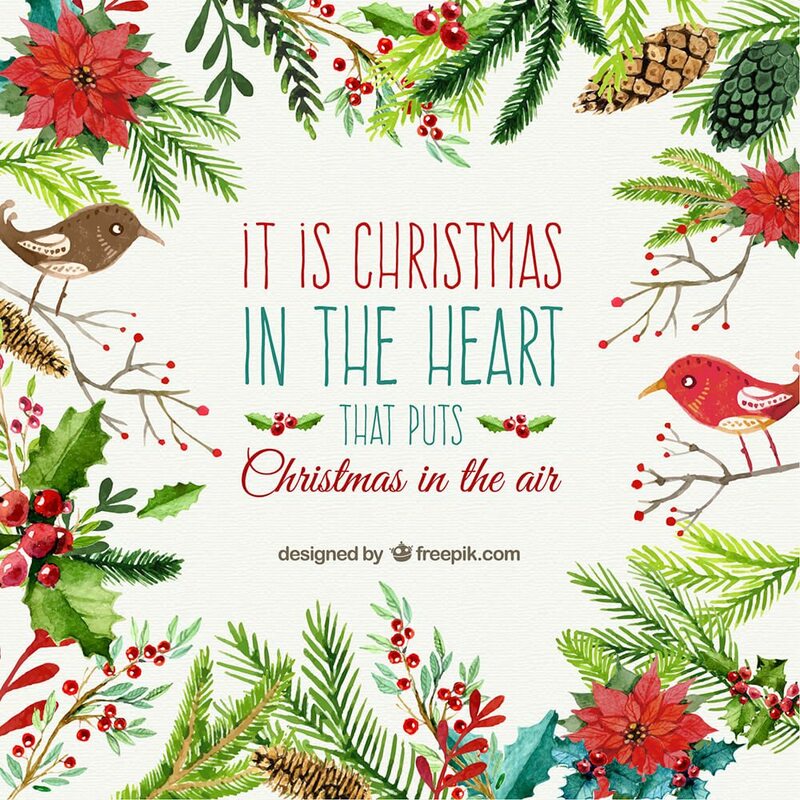 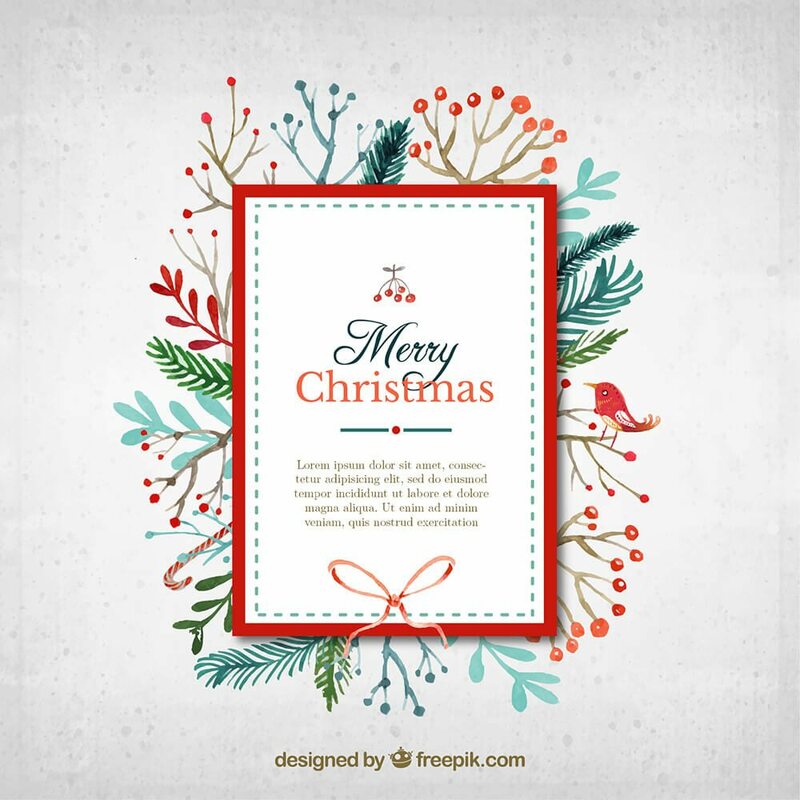 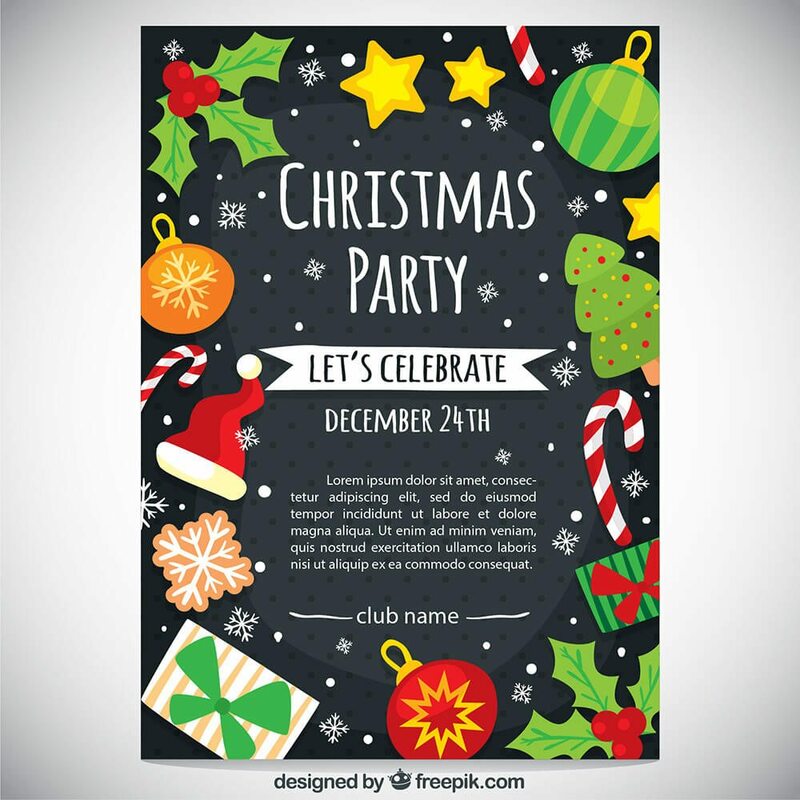 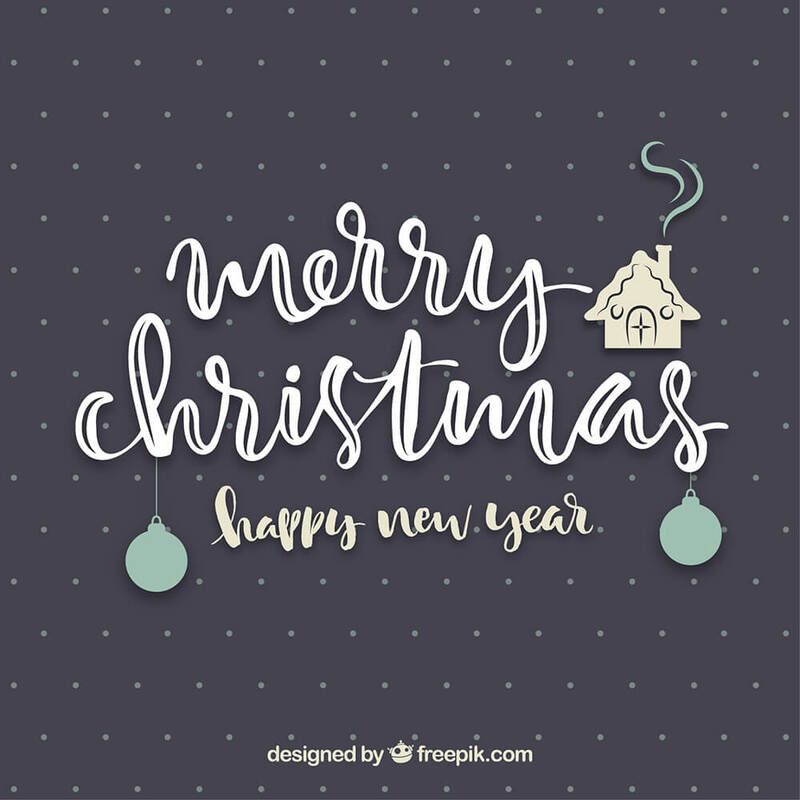 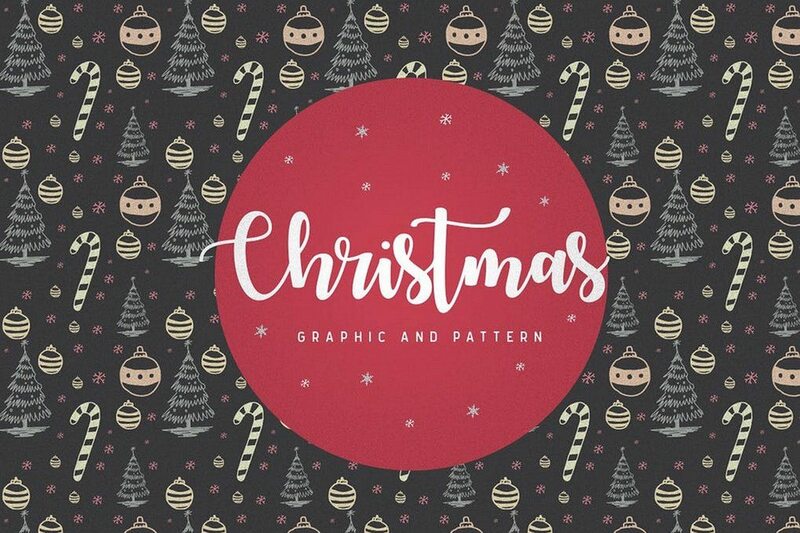 It includes many creative photo overlays, Christmas photos, cliparts, lettering, and lots of isolated objects for crafting unique Christmas designs. 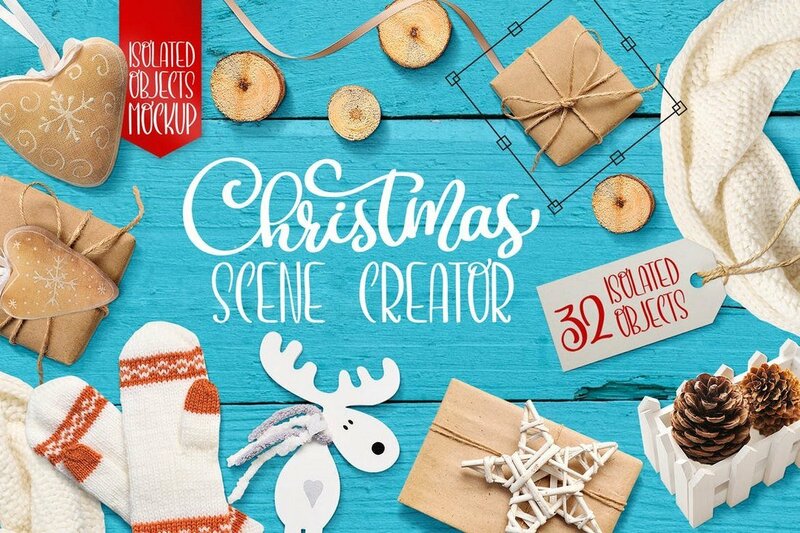 If you’re planning on updating your website and social media page covers with a creative Christmas-themed design or even creating a unique scene to showcase your products, this bundle will come in handy. 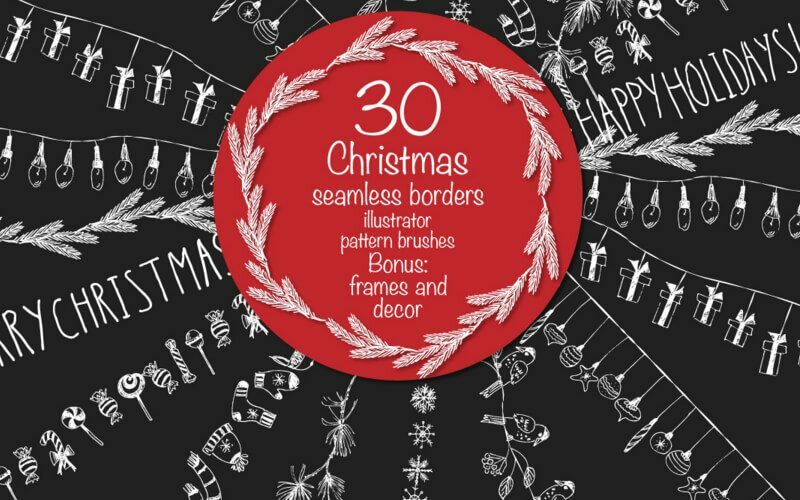 It includes 30 different Christmas elements that you can rearrange however you like to create beautiful Christmas scenes. 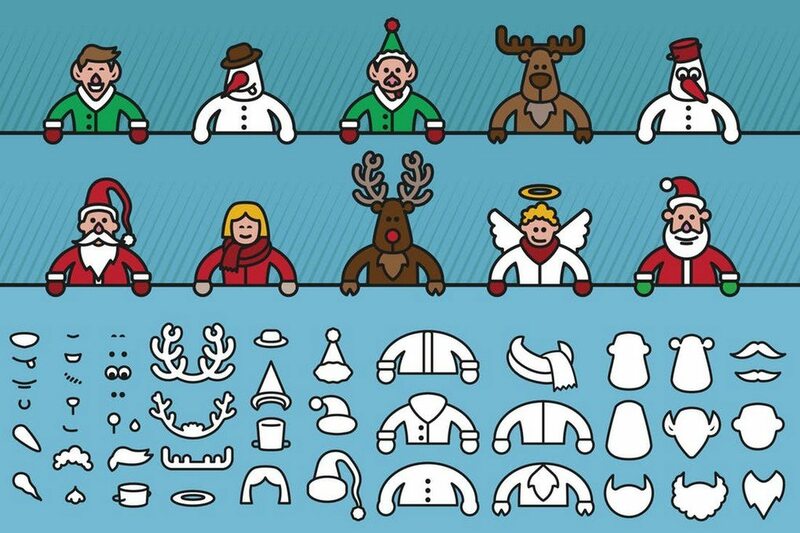 This is a collection of unique Christmas-themed objects. 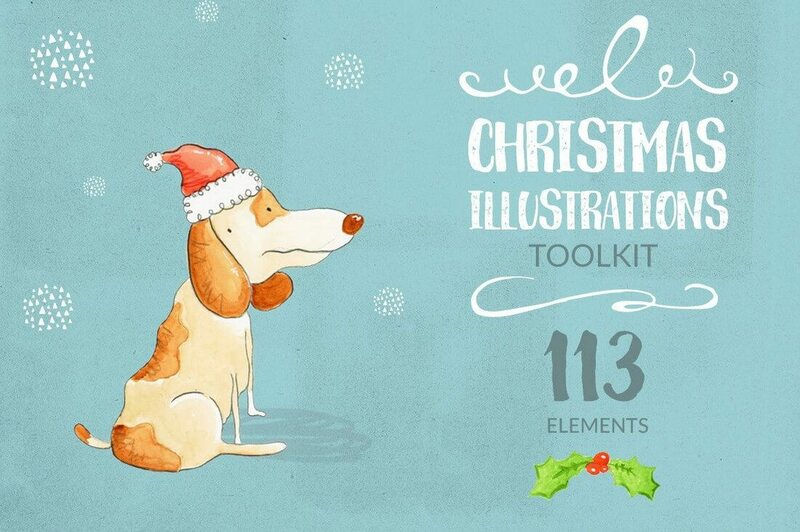 It comes with a total of 43 items in EPS, SVG, and PNG formats. 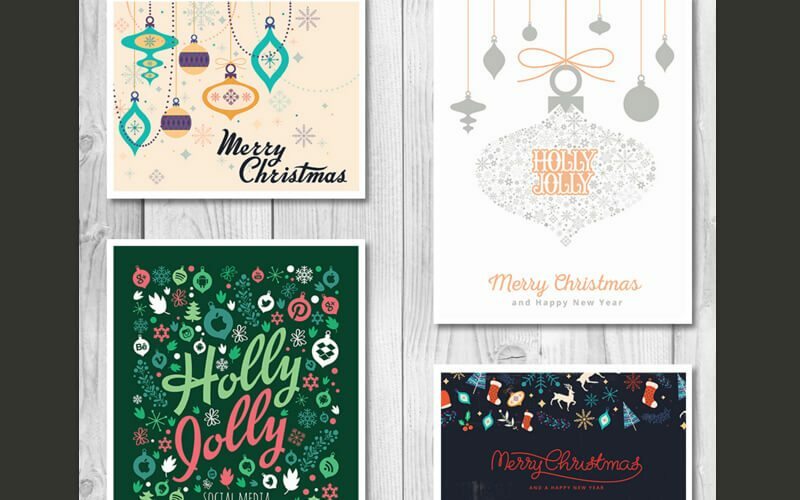 You can use them to create unique greeting cards, packaging designs, flyers, and much more. 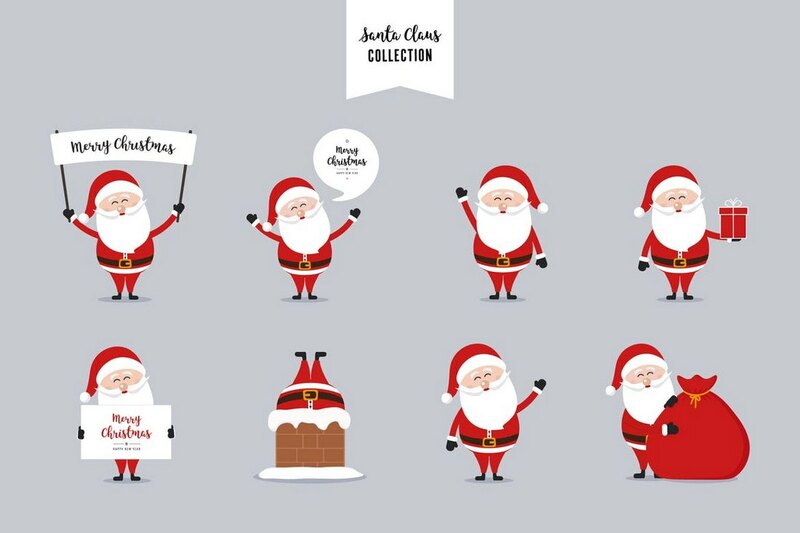 Looking for a cute Santa Claus to include in your new advertisements, promotions, and designs? 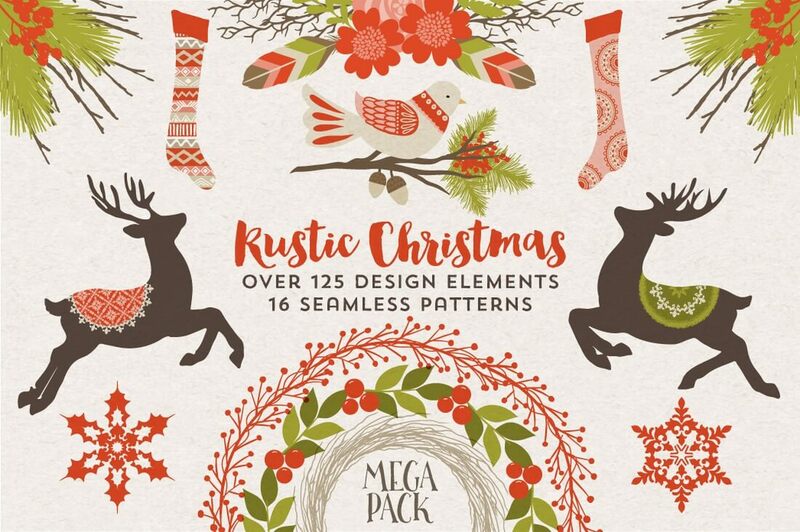 With this pack of vector illustrations, you’ll have plenty of choices. 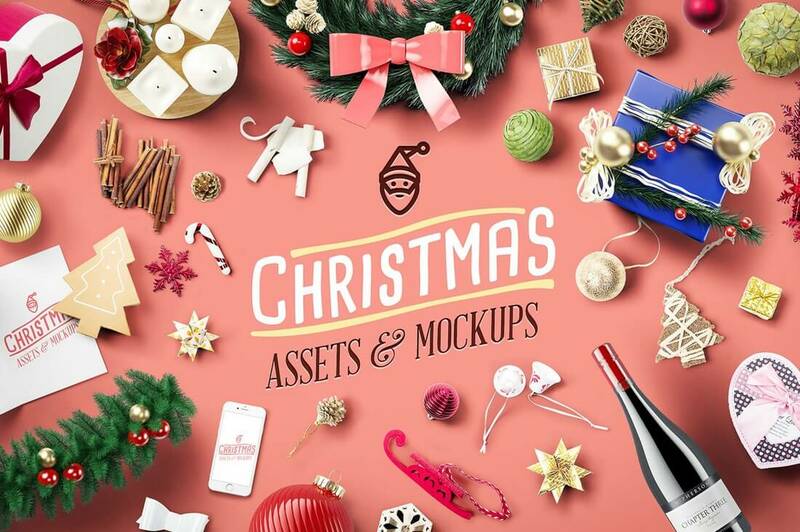 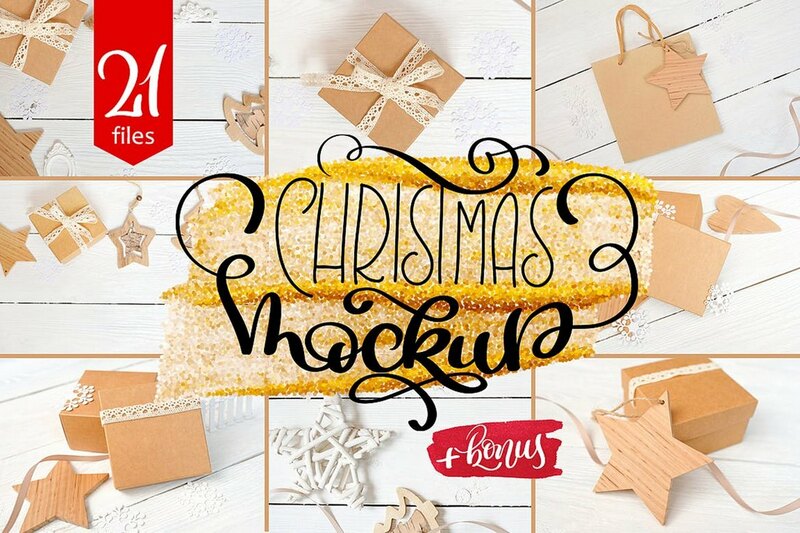 This bundle includes 21 unique mockup templates for Christmas-themed items, such as packaging, greeting cards, and much more. 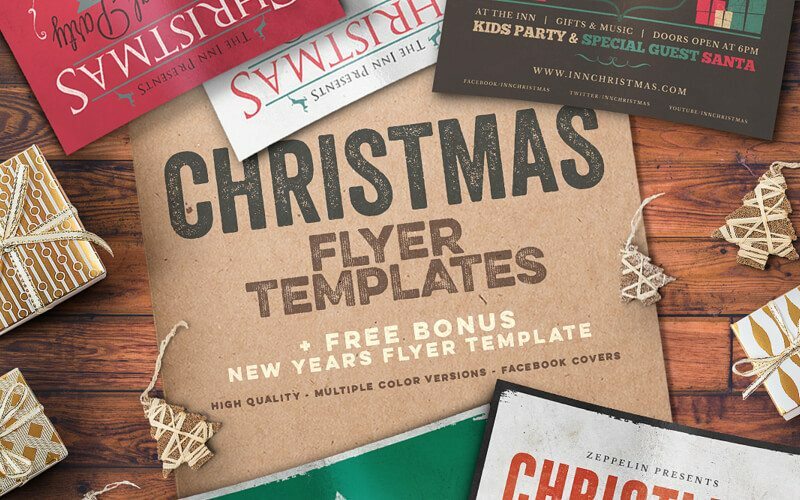 The templates are available in easily customizable PSD files. 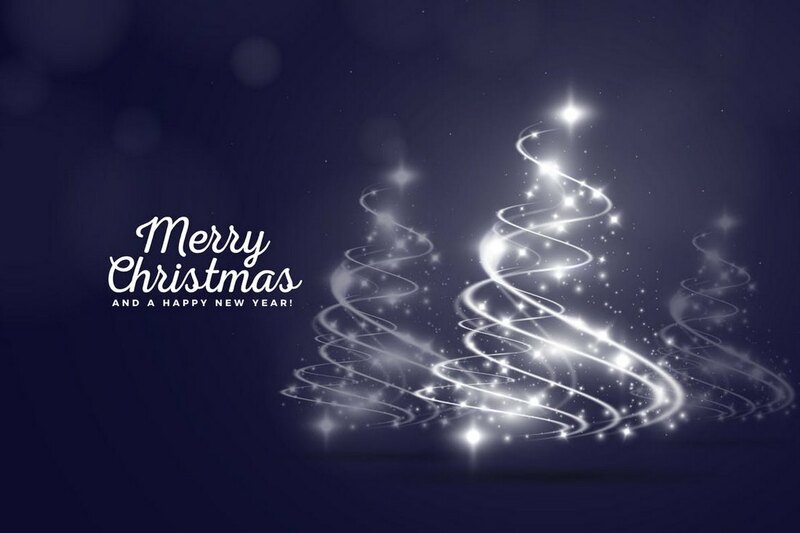 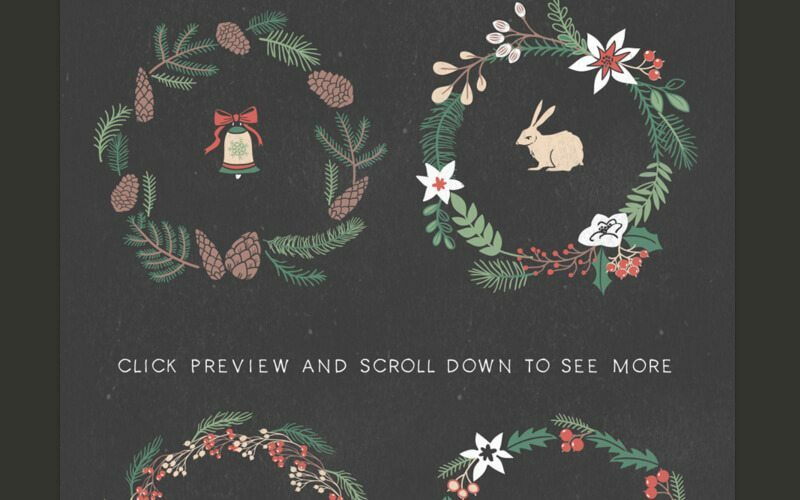 A beautiful and a customizable Christmas background you can use to create a website header, social media cover, and product showcase. 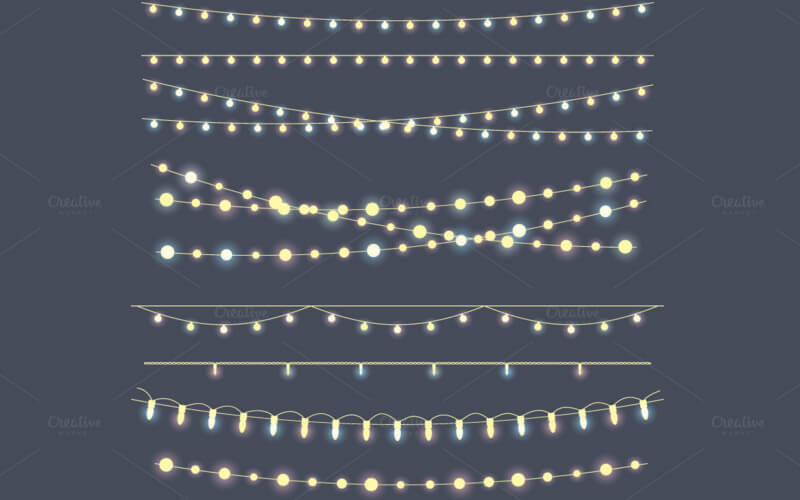 The background is available in an Illustrator file you can edit to change colors and text. 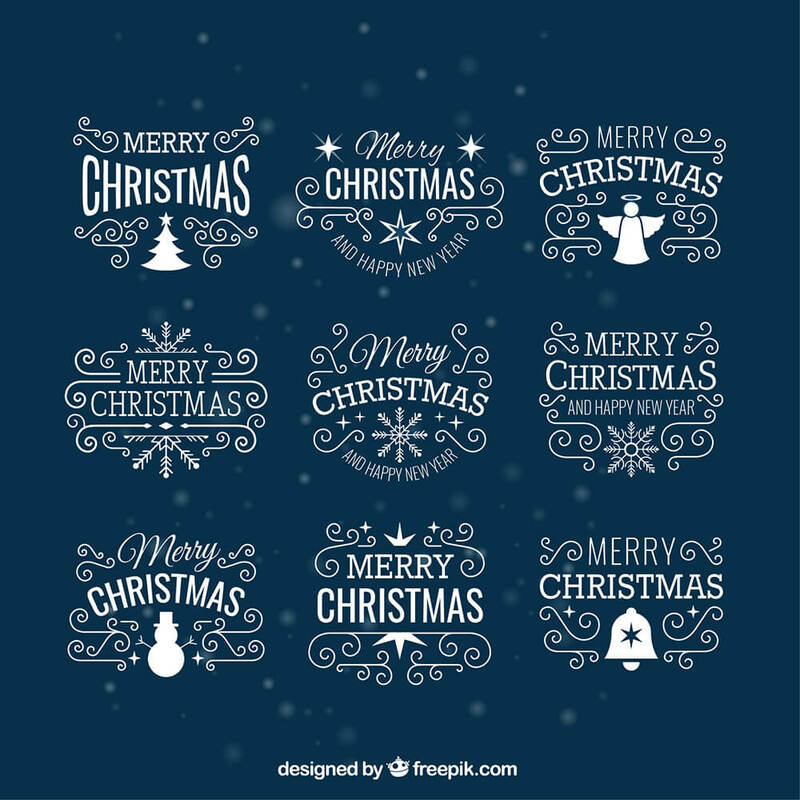 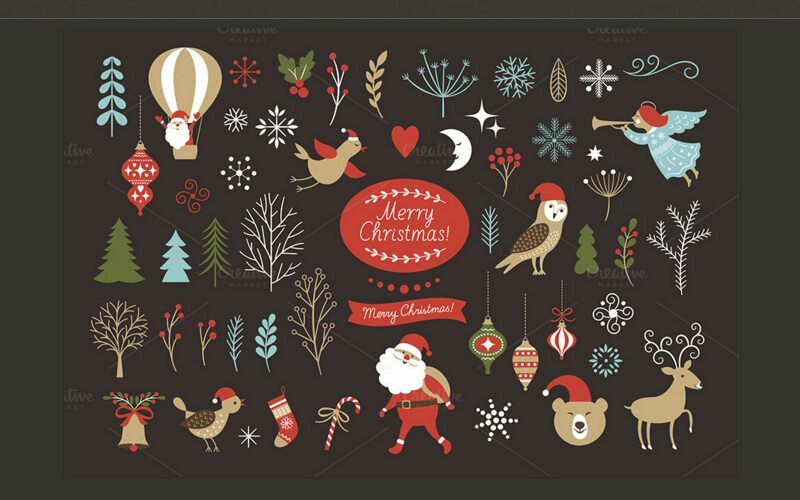 This is a pack of Christmas icons featuring 25 colorful icons with many common Christmas items. 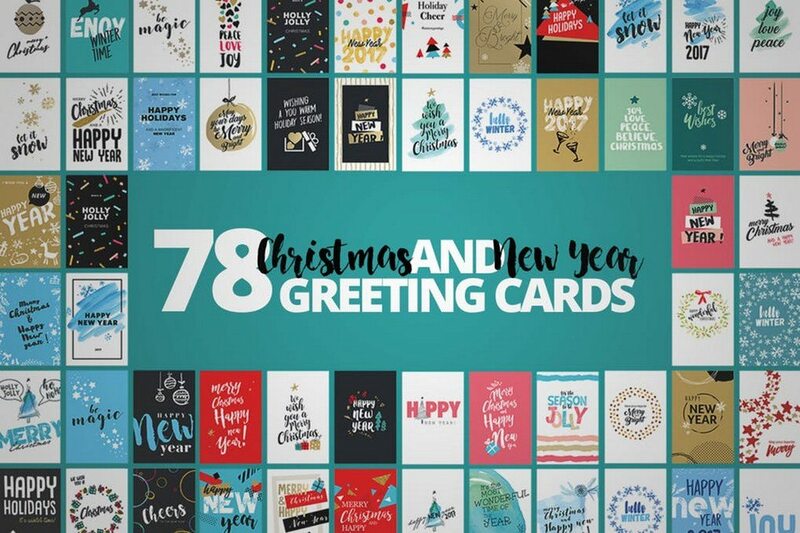 You can use it to create unique greeting cards, social media posts, ads, promotions, and more. 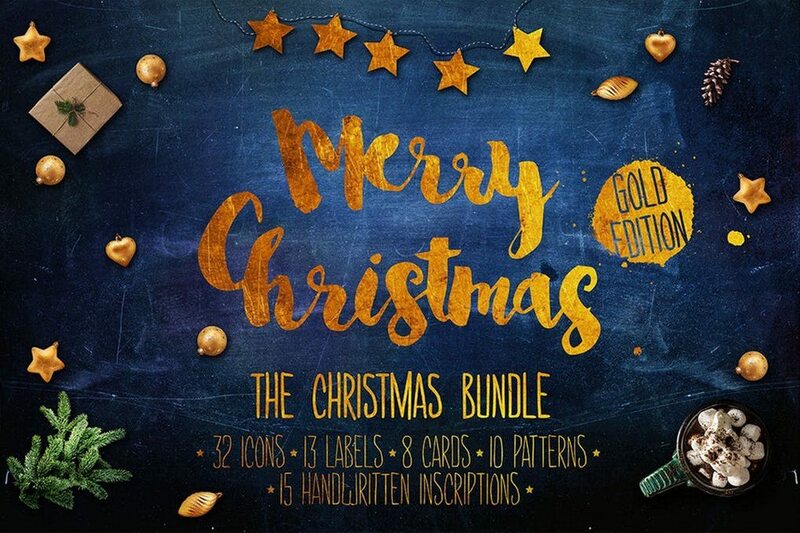 This massive bundle of Christmas elements includes lots of useful items you can use to create greeting cards, posters, flyers, and more. 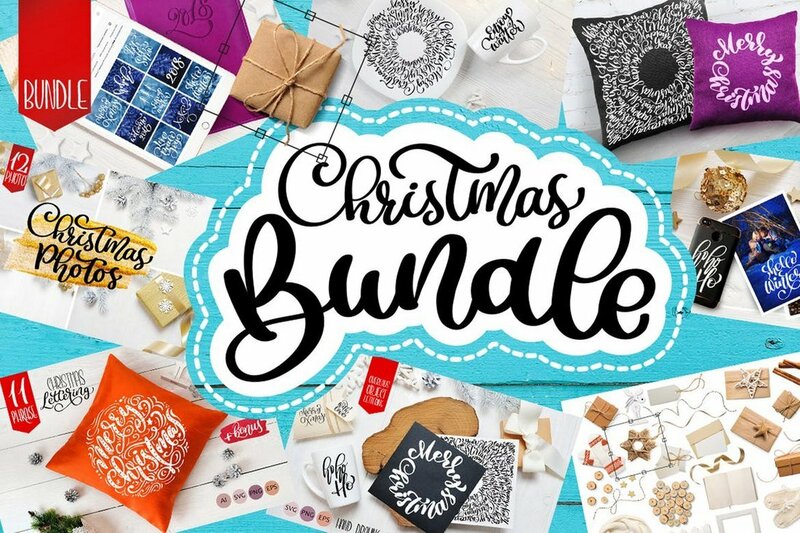 It comes with 85 customizable Christmas wreaths, illustrations, and tons of other items. 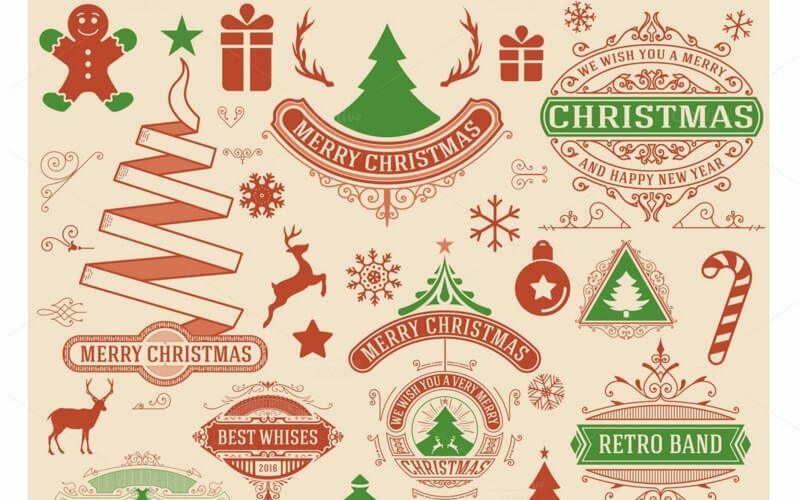 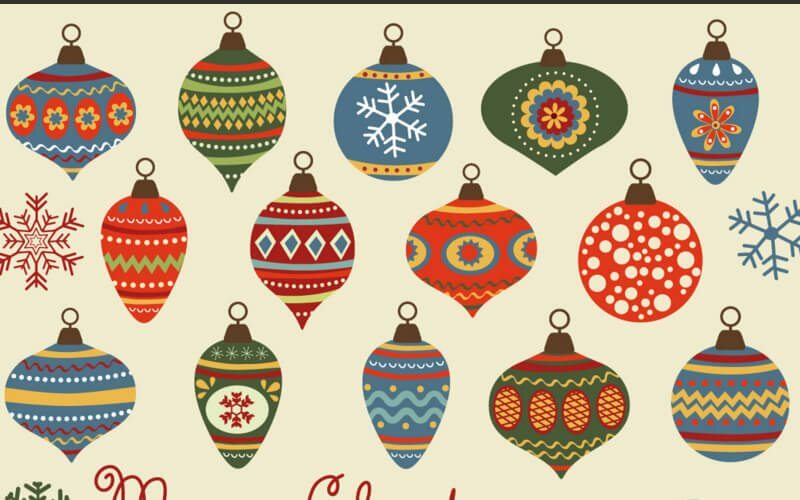 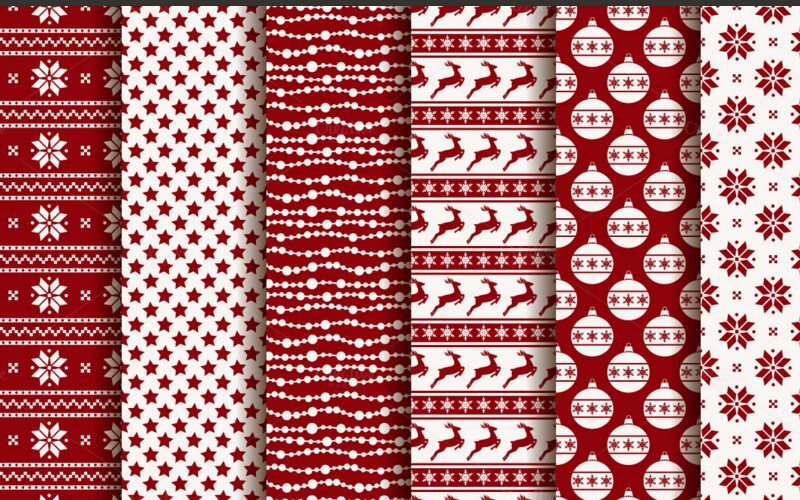 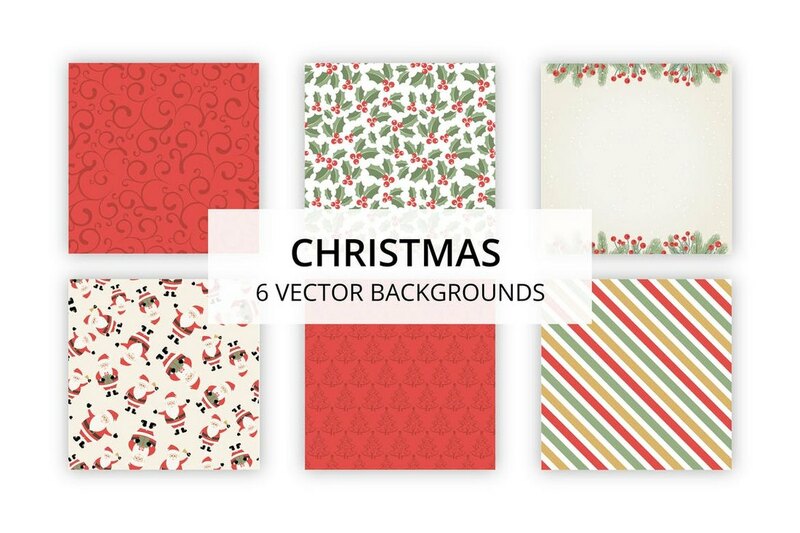 A collection of vector background textures for customizing your Christmas-themed designs. 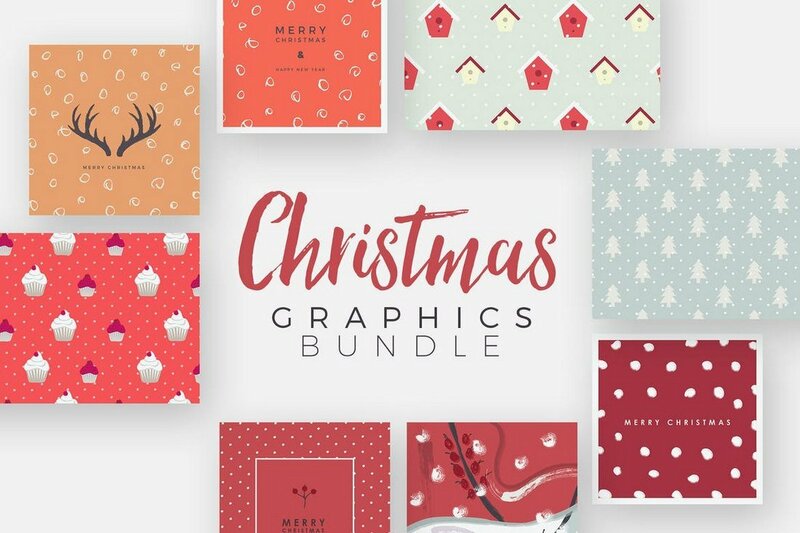 This pack includes 6 unique backgrounds with hand-drawn designs. 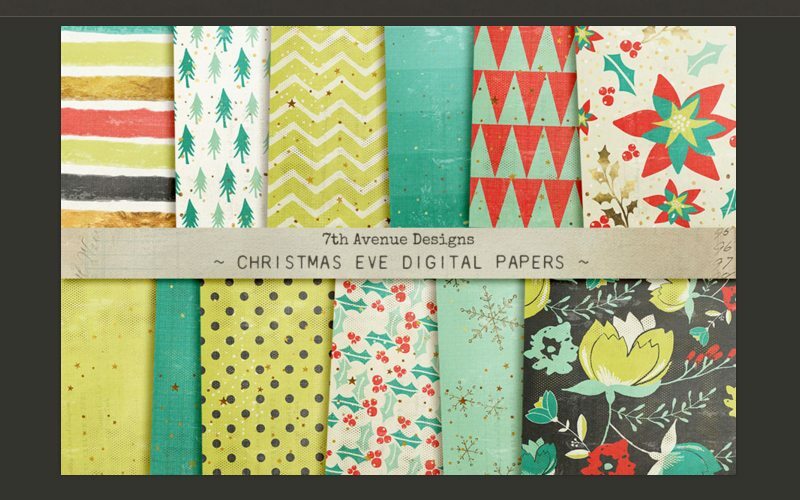 This bundle comes with 72 unique greeting card templates for creating cards for both Christmas and New Year’s. 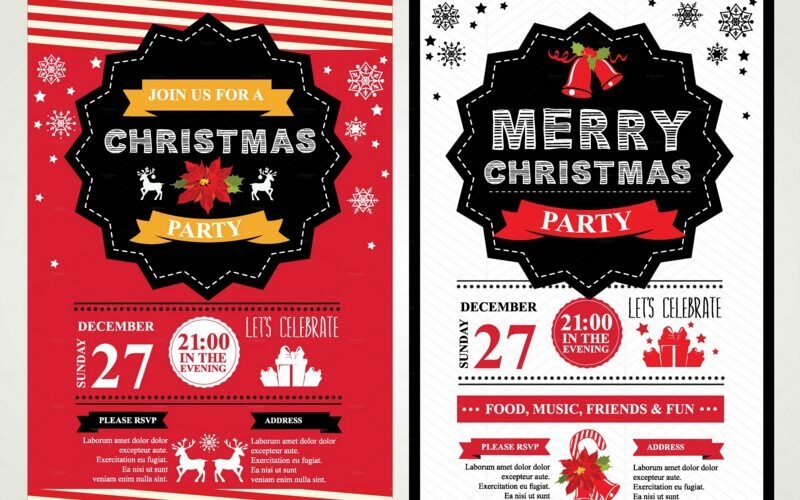 The templates are available in high-resolution and can be customized using Illustrator. 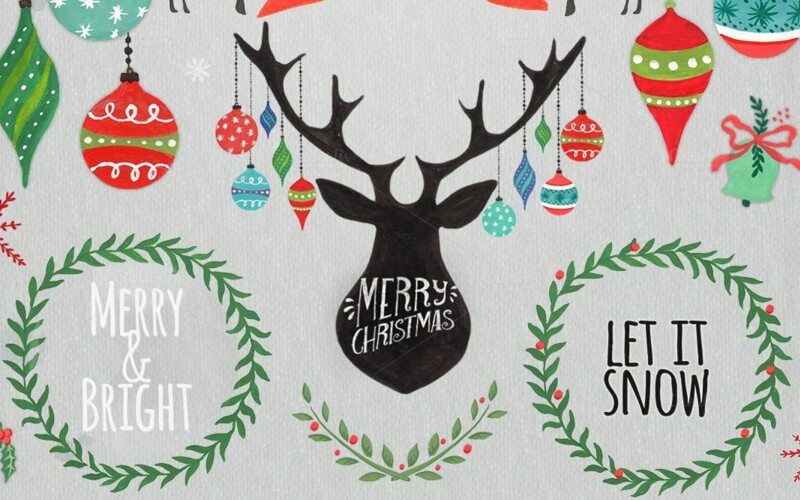 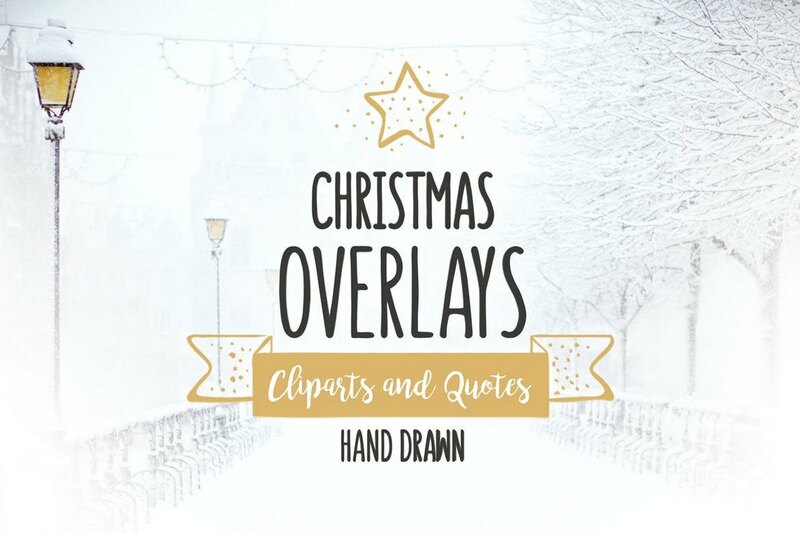 Another bundle full of hand-drawn Christmas overlays and vector elements. 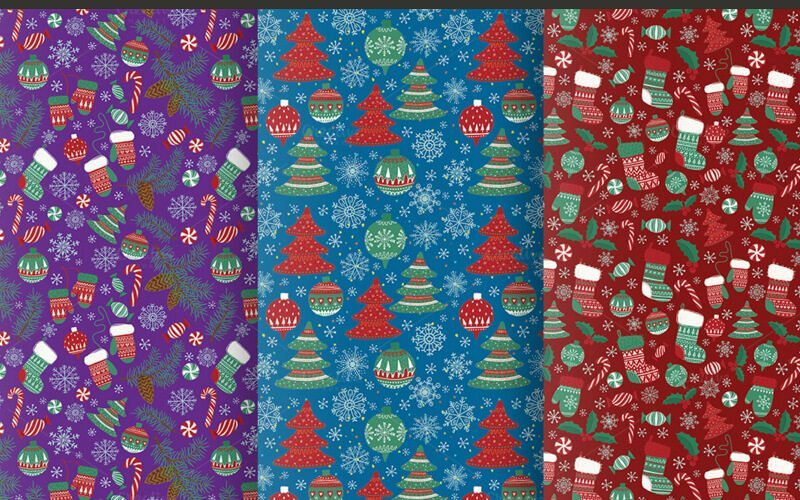 This pack 13 unique designs in 4 different color schemes. 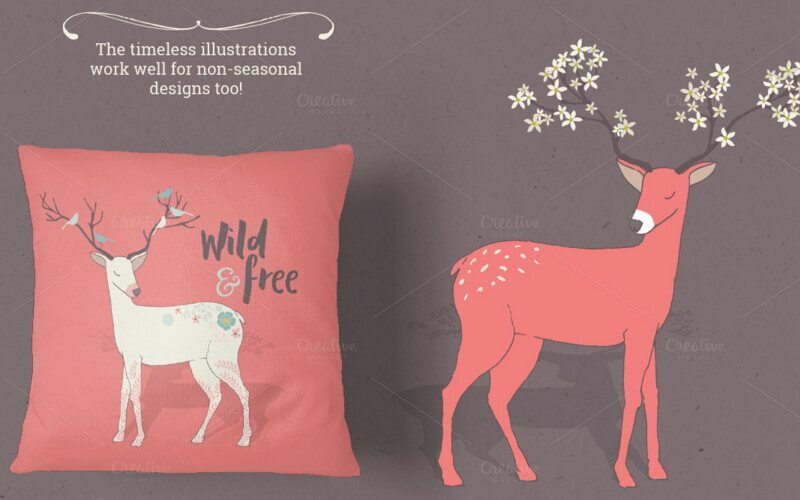 All of the designs are available in editable AI, EPS, and PSD file formats. 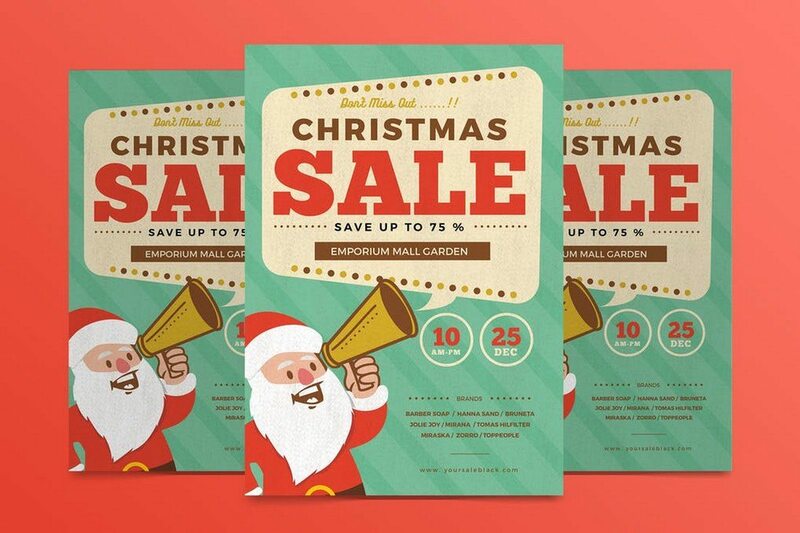 Working on a promotional banner for a Christmas sale? 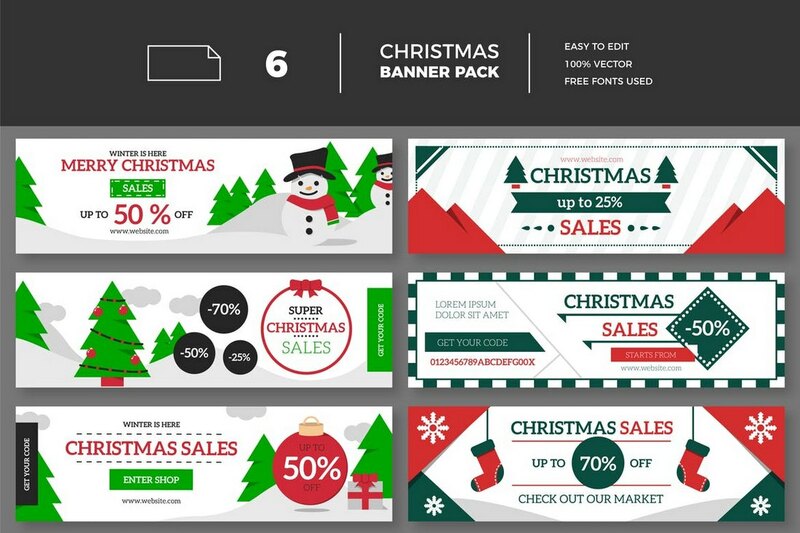 Then you can download this pack of sales banner templates to quickly design a promotional advertisement for your business. 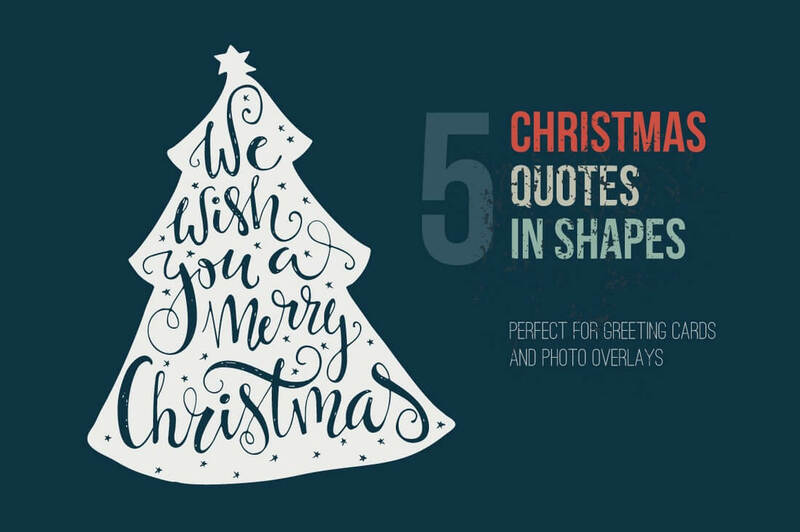 It includes 6 different template designs. 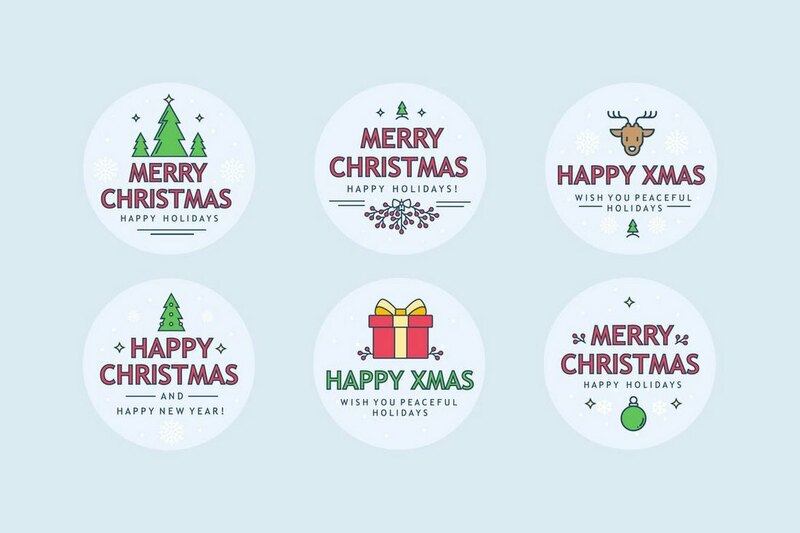 A collection of colorful and creative Christmas badges. 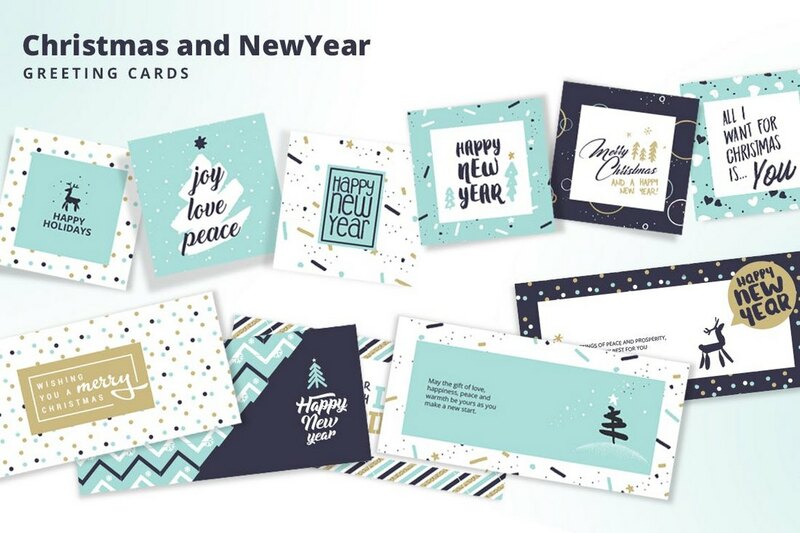 These will come in handy when designing greeting cards, social media posts, and many other types of promotional material. 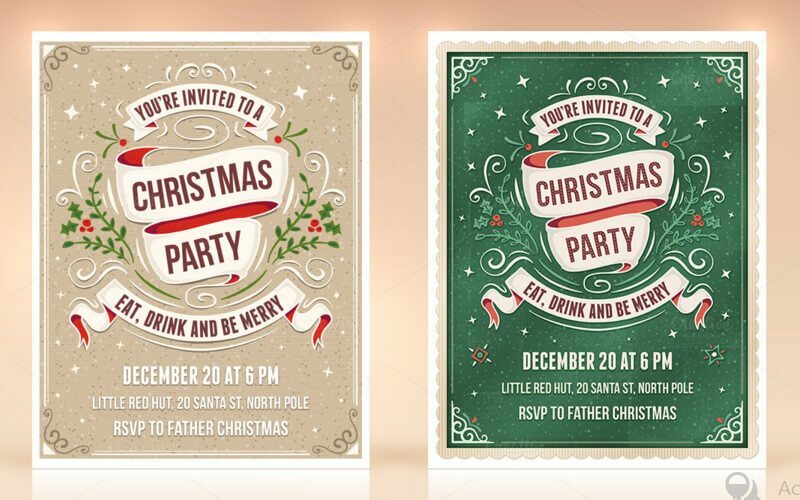 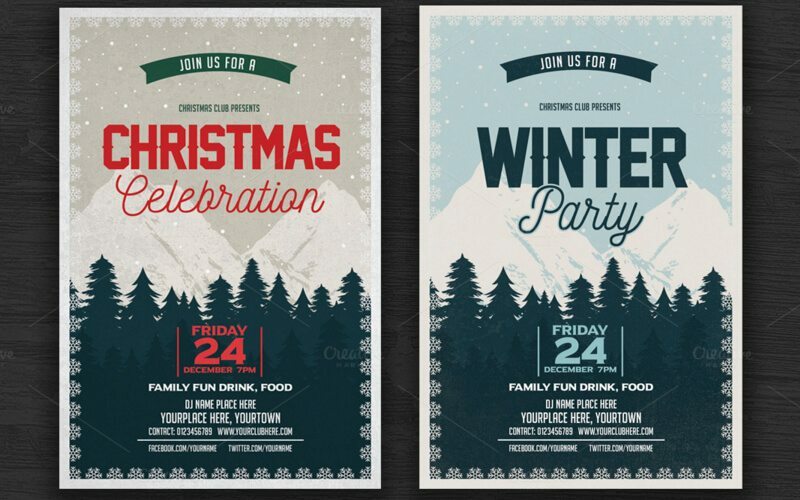 No need to hire designers to create Christmas-themed posts for your social media promotions, simply use these templates. 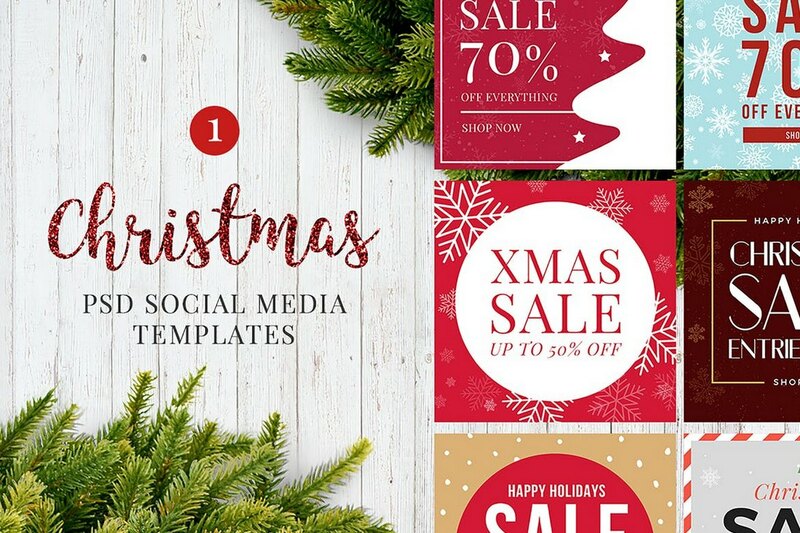 This bundle includes 20 editable templates for creating different kinds of posts for Instagram, Twitter, and Facebook. 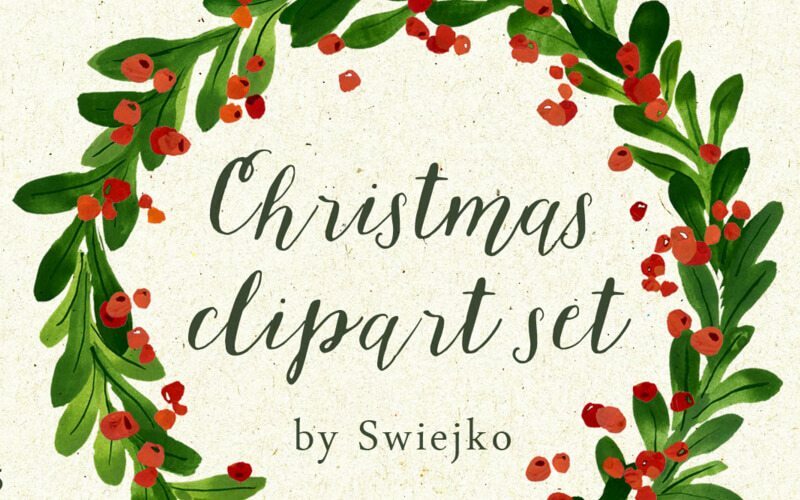 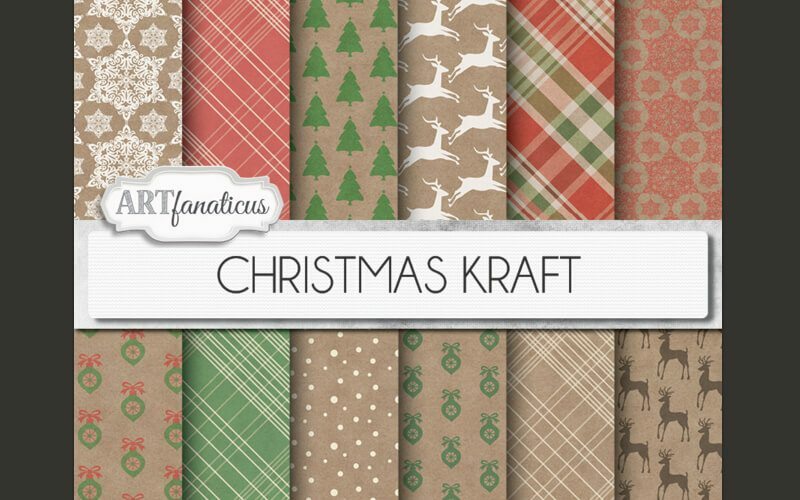 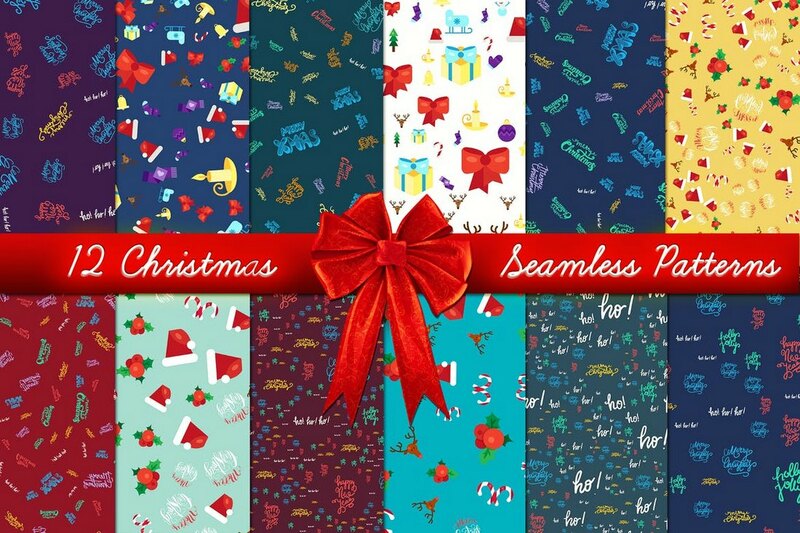 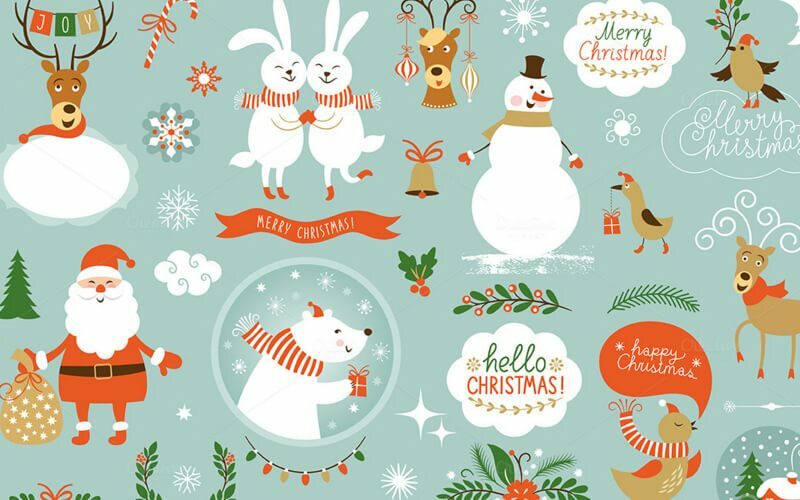 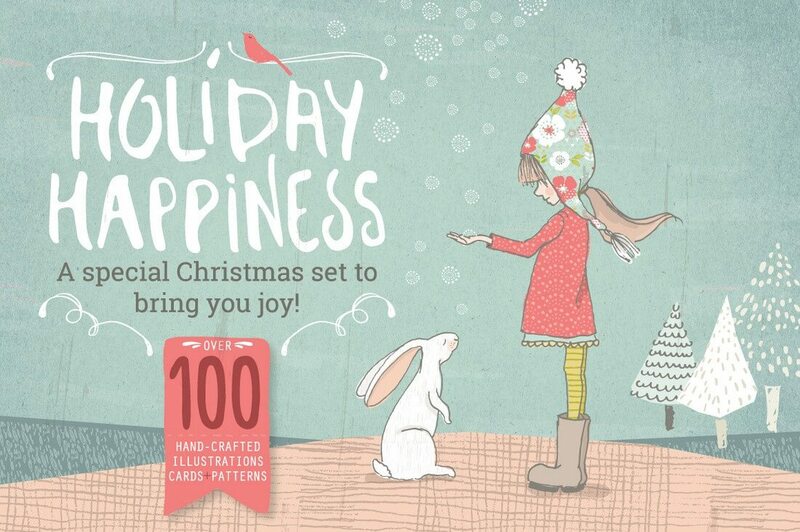 This collection of patterns include 12 seamless patterns featuring Christmas-themed designs. 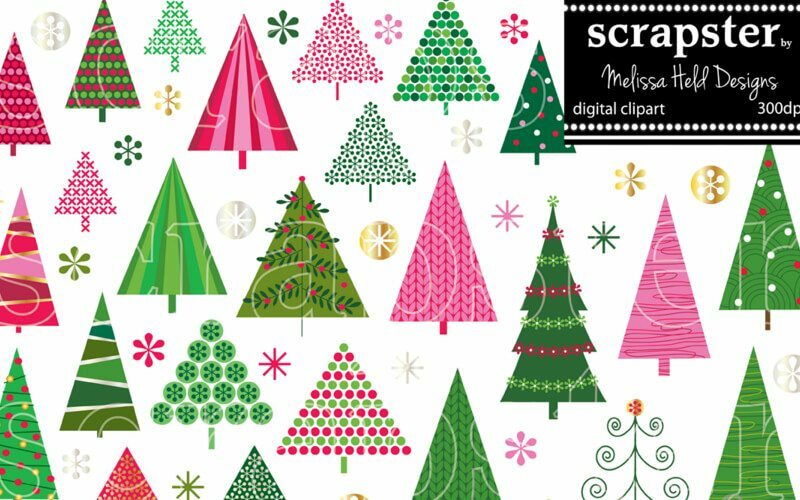 These are ideal for creating backgrounds for greeting cards, posters, flyers, and packaging. 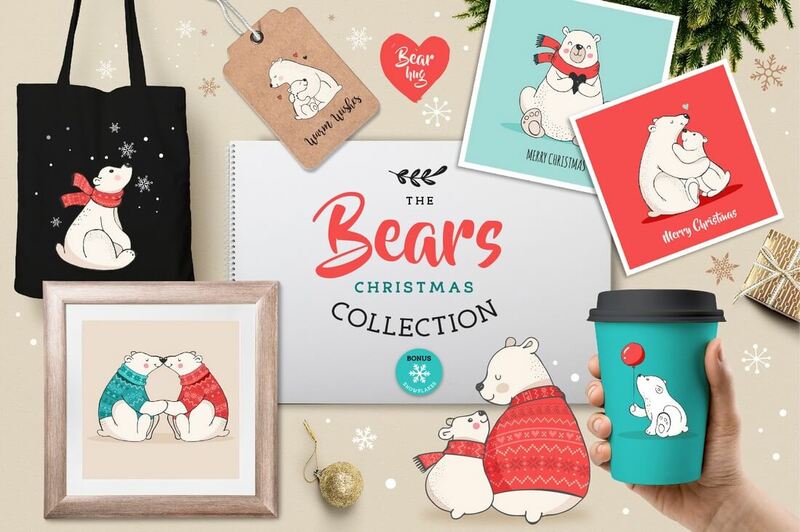 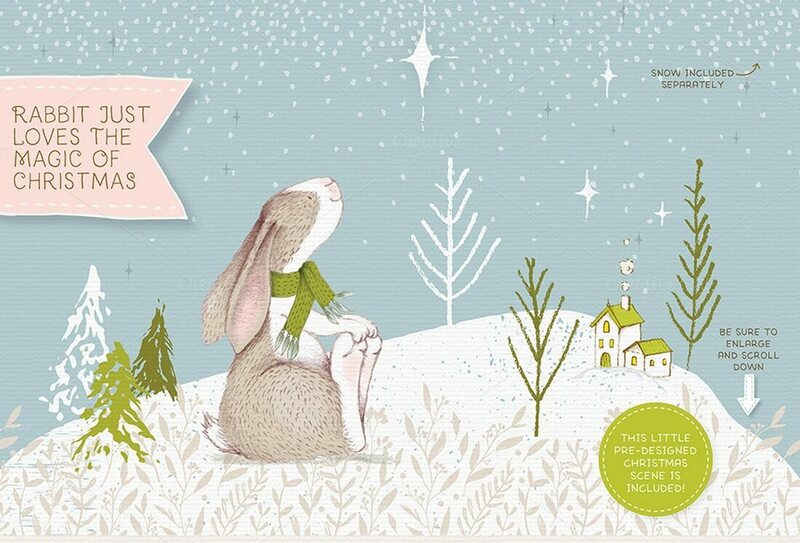 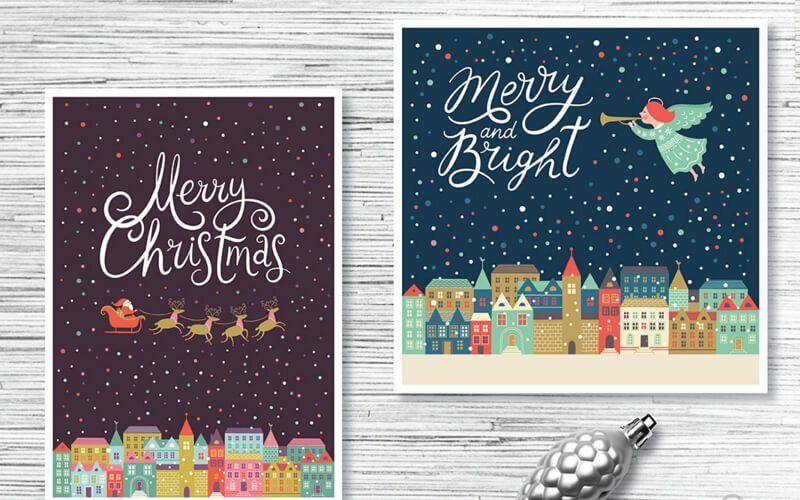 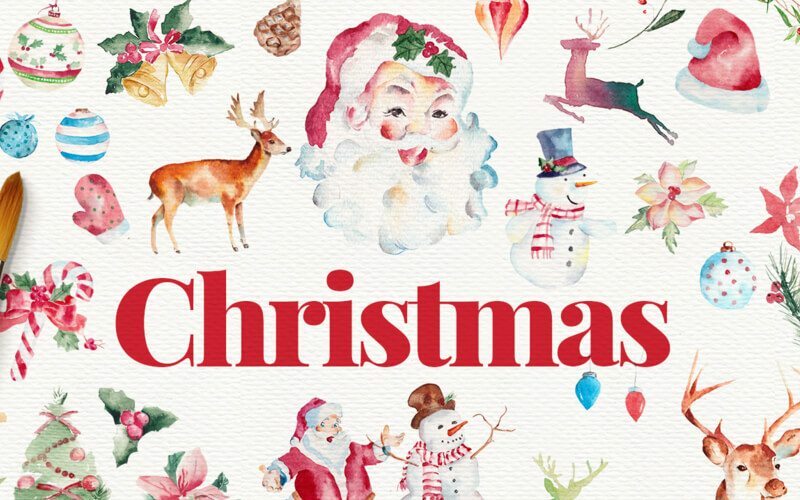 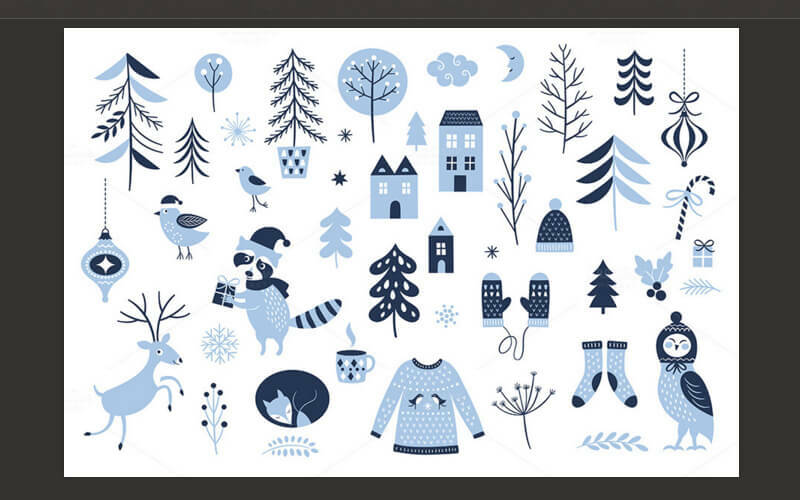 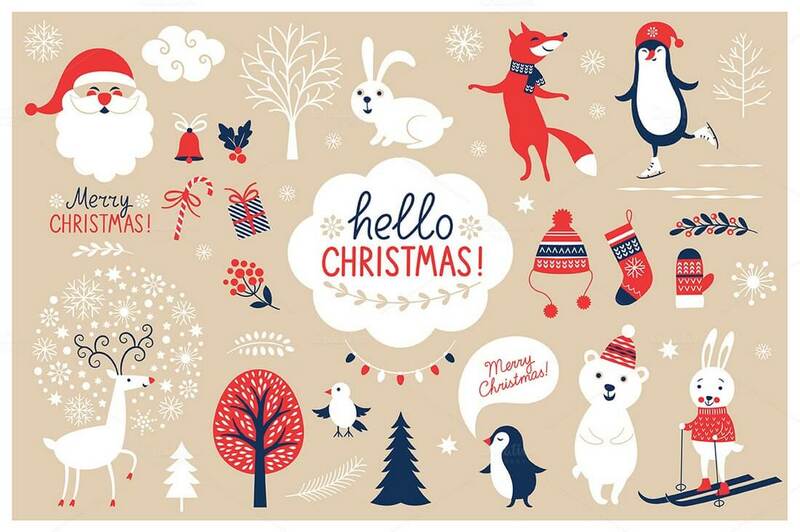 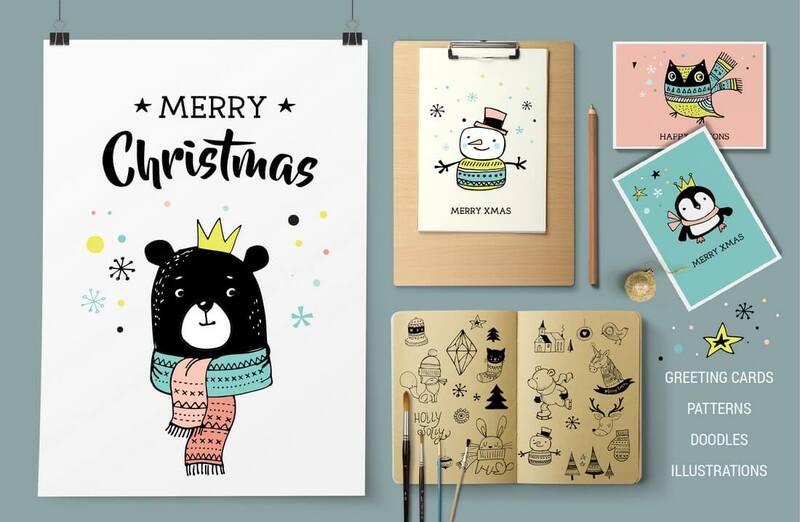 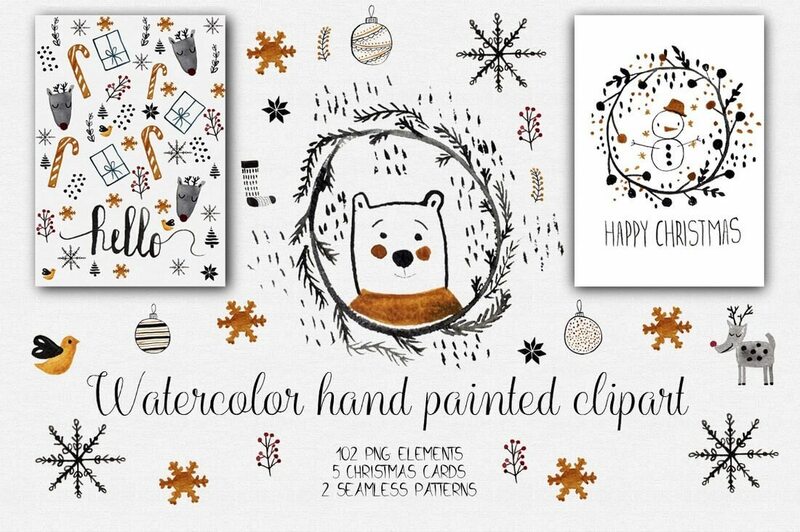 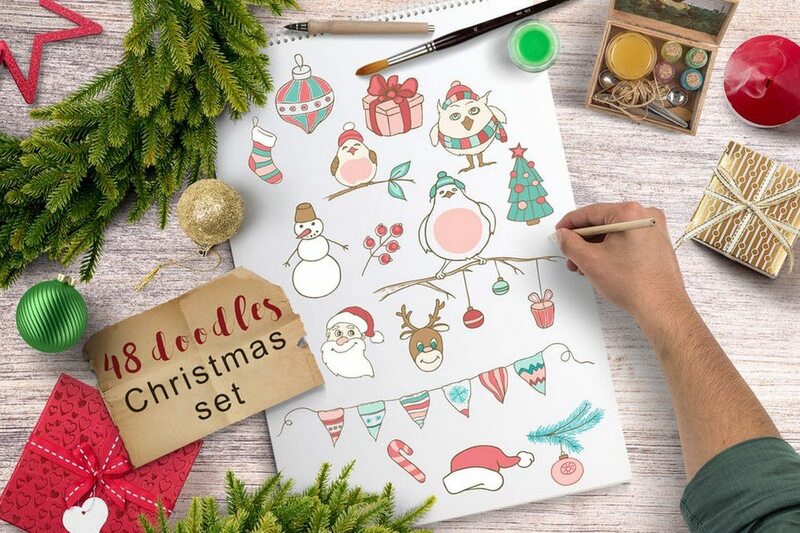 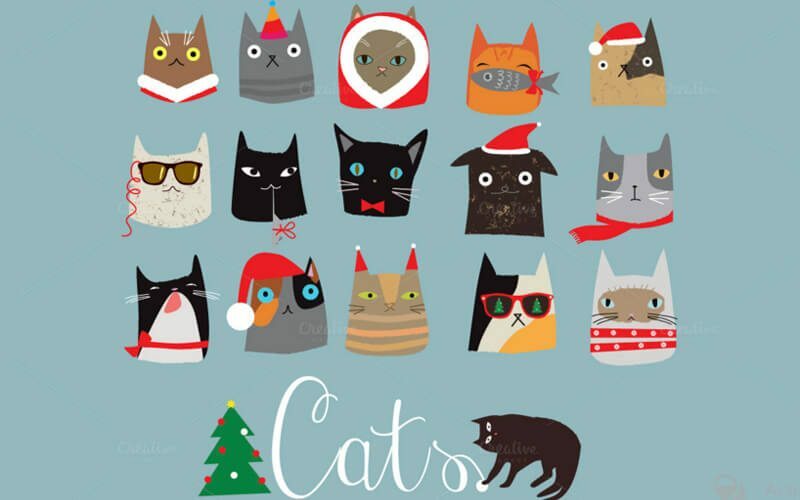 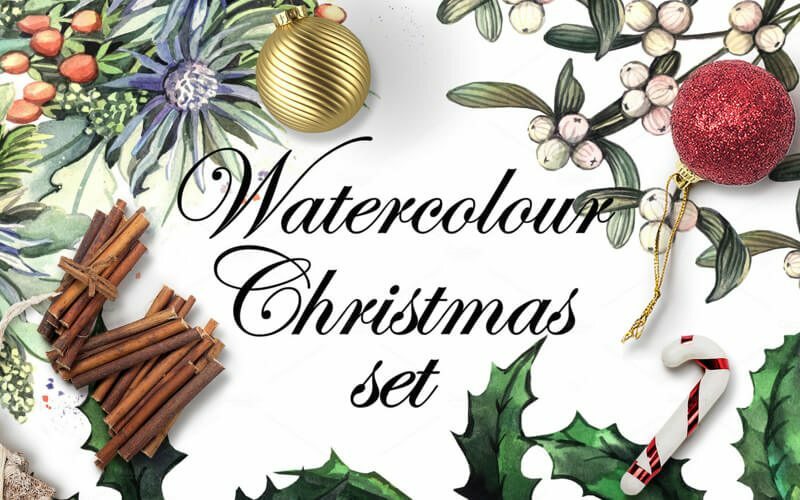 A bundle of creative Christmas cliparts featuring many different types of designs and illustrations. 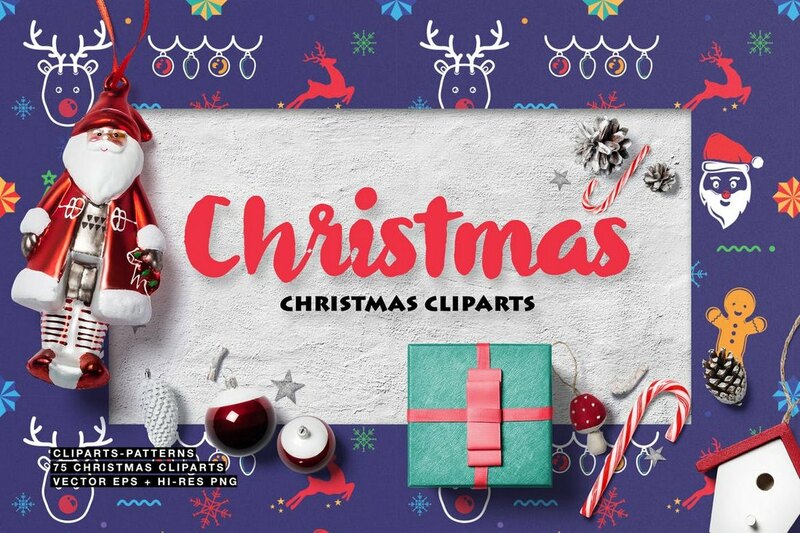 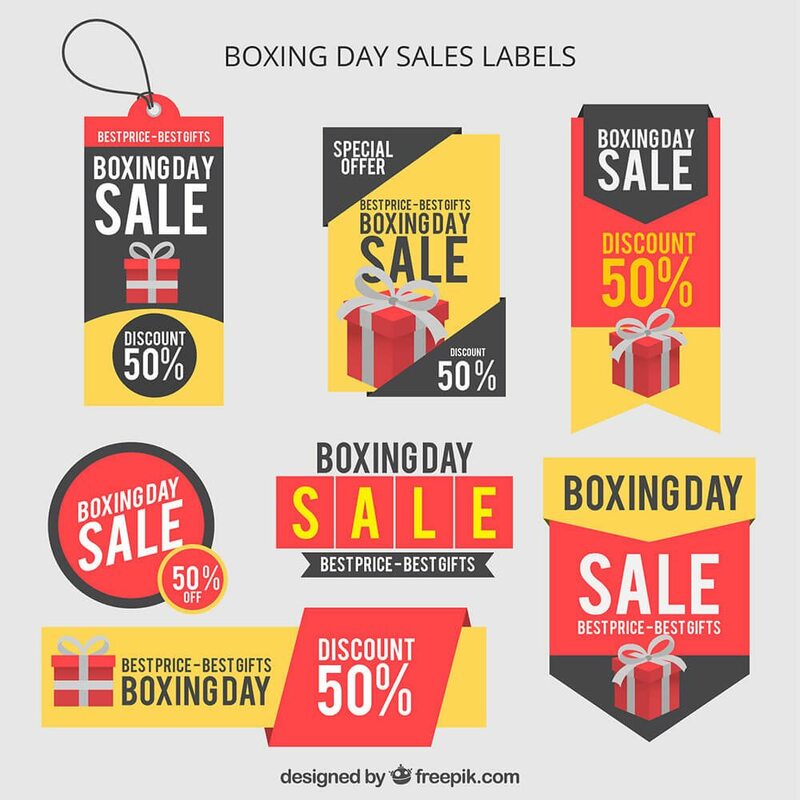 It includes 75 cliparts in vector format you can use with both print and digital designs.